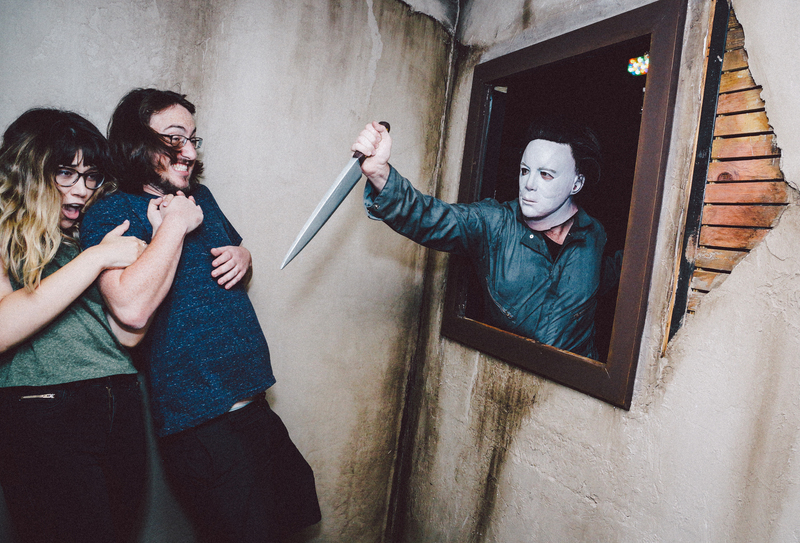 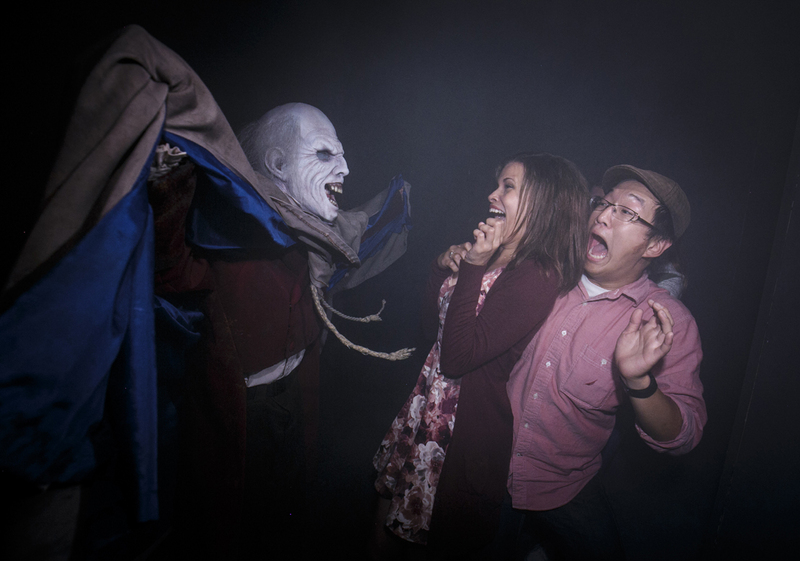 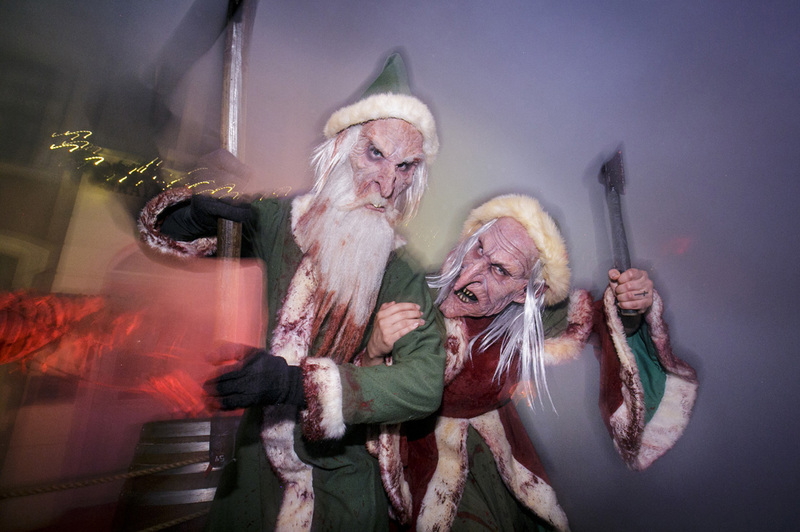 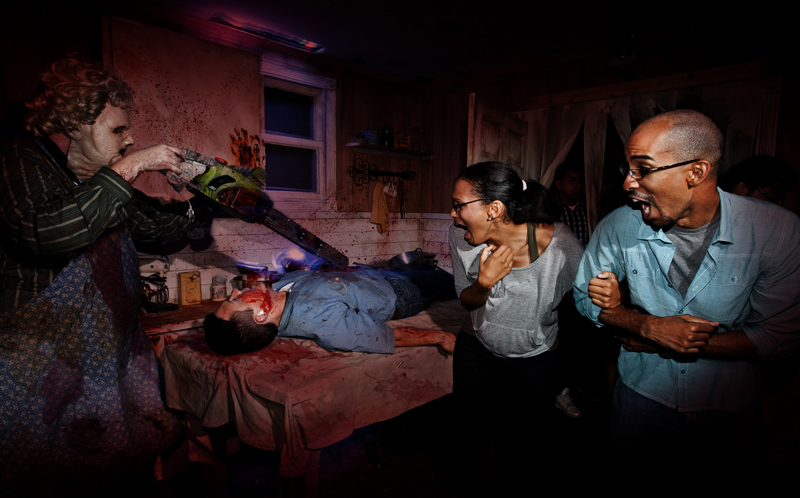 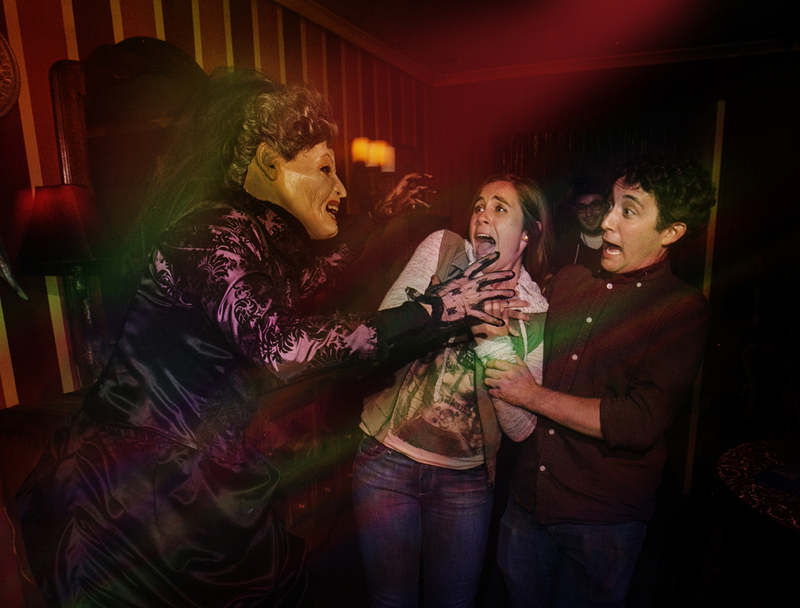 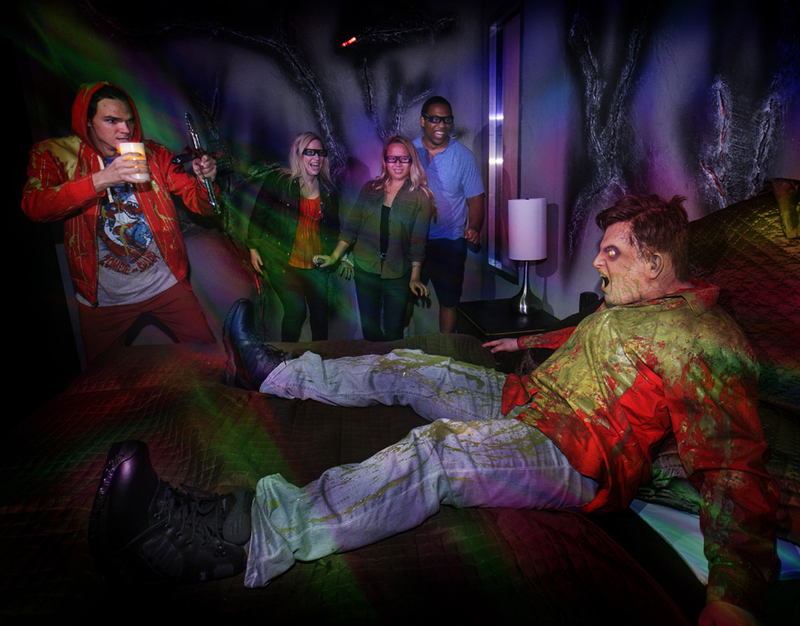 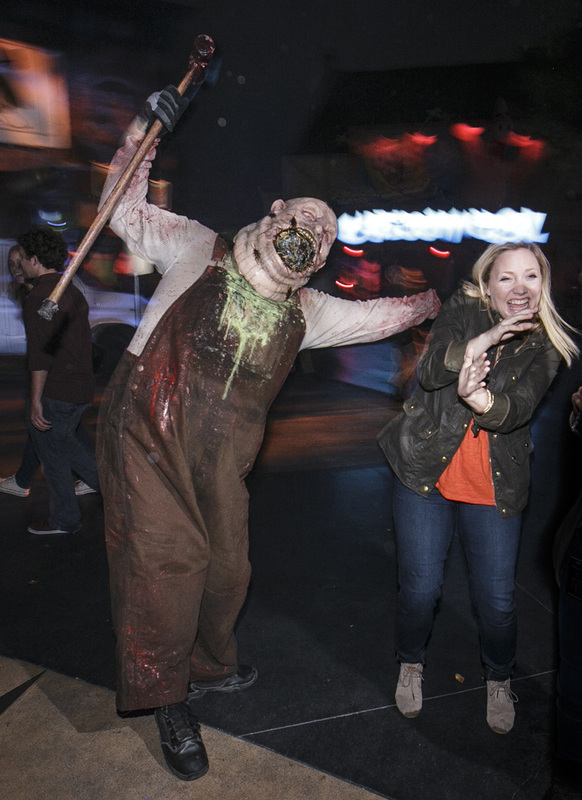 Halloween Horror Nights Universal Studios Hollywood offers the best production values of any Haunt in the Southland: sets, costumes, props, makeup, and special effects. 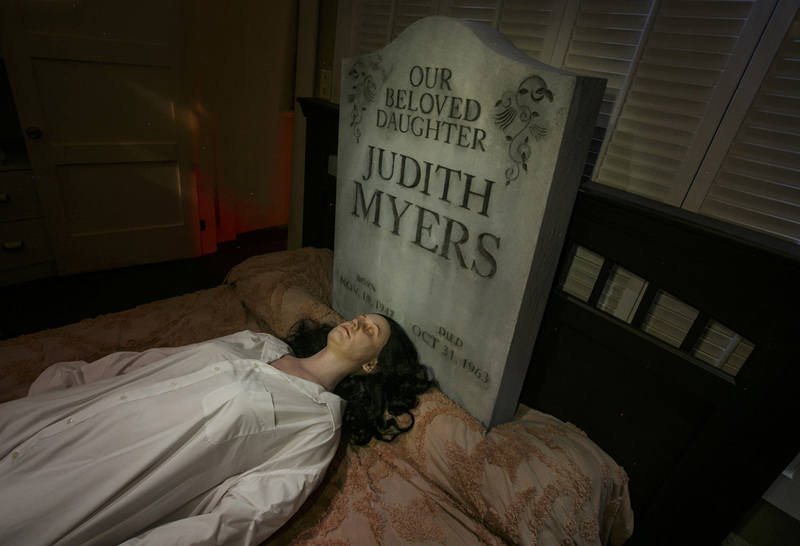 Their gimmick of basing attractions on famous horror film and television franchises is always interesting, but their limited range of scare tactics tend to remain the same from year to year. 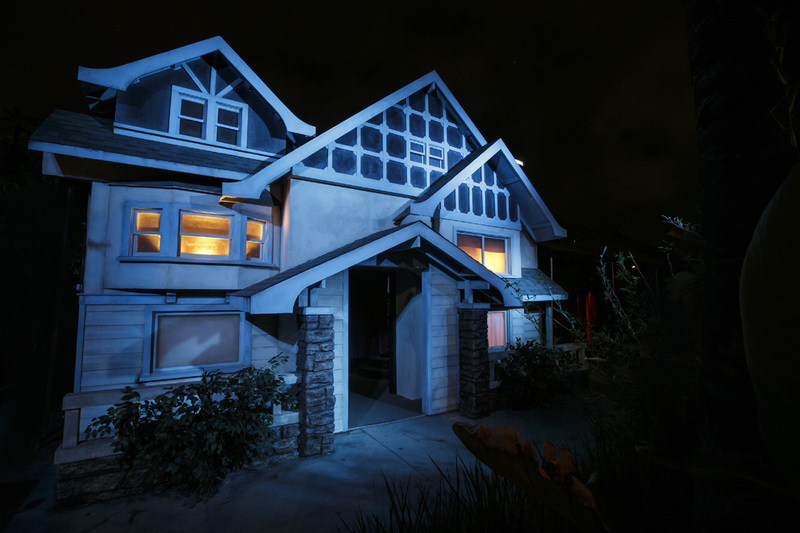 Click here for a comparison between Halloween Horror Nights Universal Studios Hollywood and other Halloween theme park attractions. 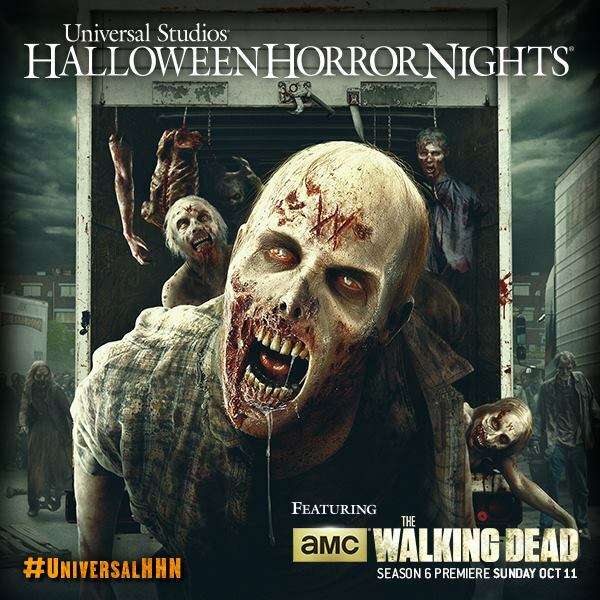 Halloween Horror Nights Universal Studios Hollywood designs its attractions around well-known horror franchises, sometimes well-known older titles (e.g., An American Werewolf in London) but more often current hot properties (such as the virtual perennial, The Walking Dead). 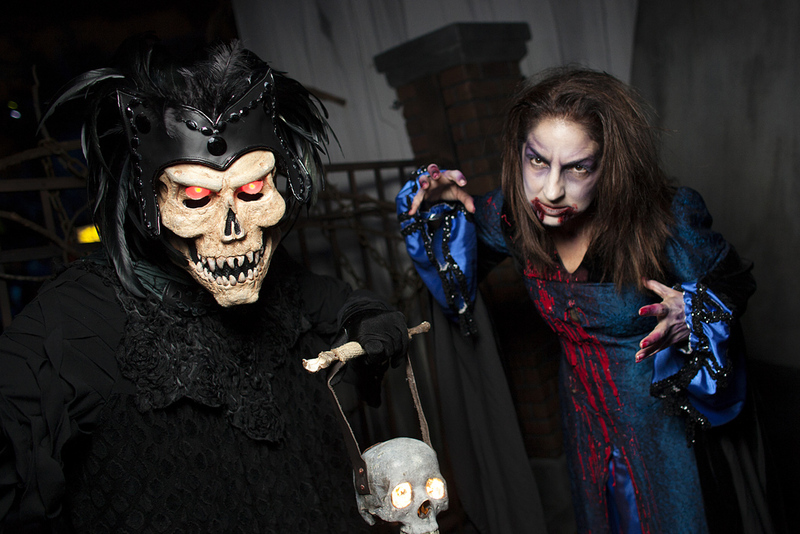 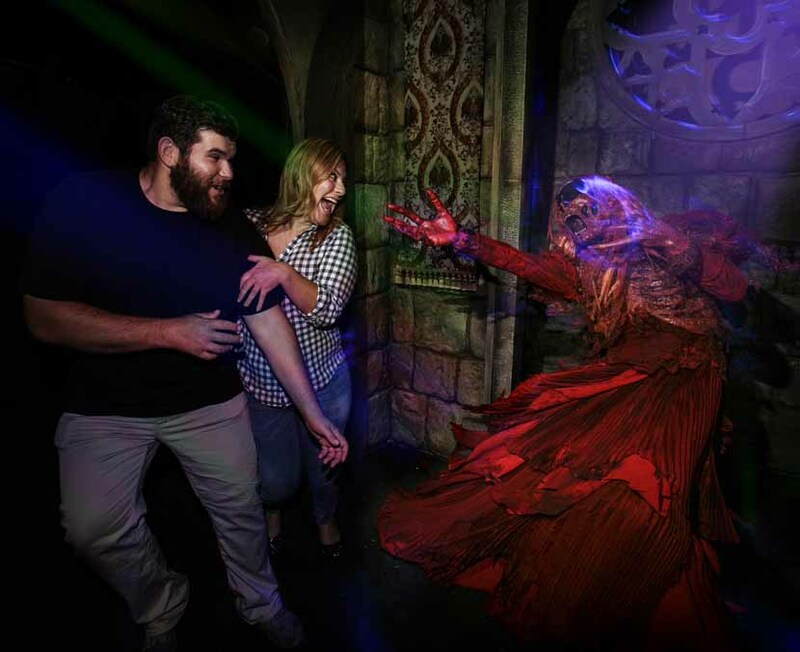 The number of attractions varies from year to year, but visitors can usually count on half a dozen scare zones scattered throughout the park; six or more walk-through mazes; a lengthy tram ride and walking tour through the back lot; and several sit-down shows. 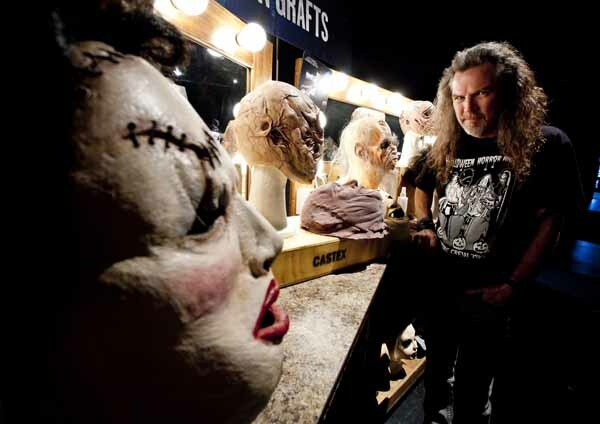 There tends to be thematic overlap in the attractions: for example, in the past, Freddy Kruger, Jason Voorhees, and Leatherface showed up both in mazes of their own and on the back lot. 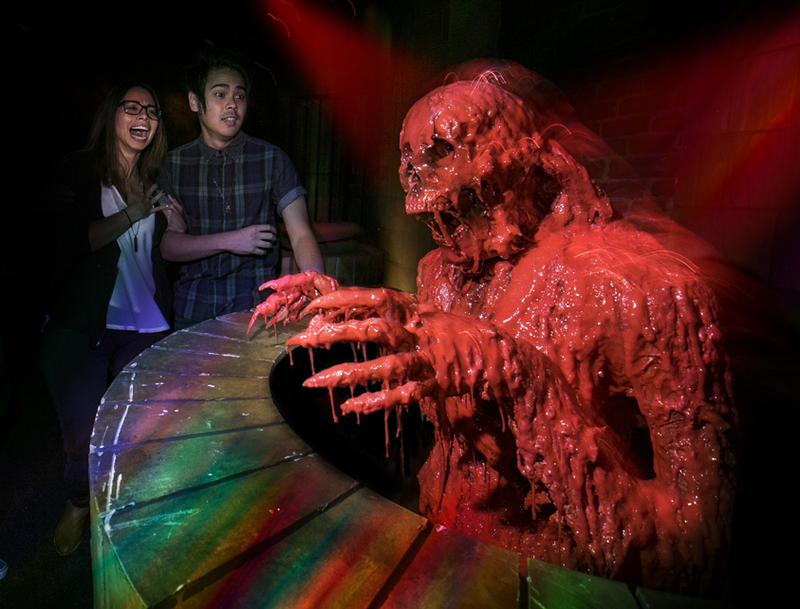 The regular rides and attractions remain open, some decked out for Halloween - transformed into "bloodbaths, as if scenes from hororr films...exploded to life." 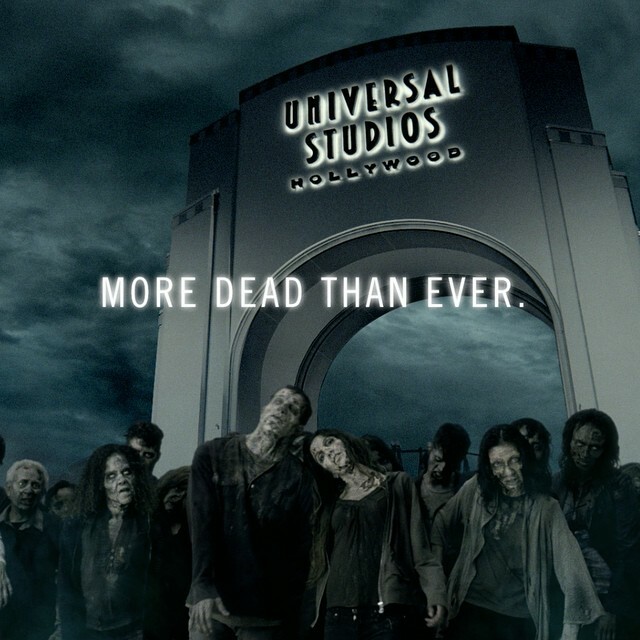 These include: TRANSFORMERS 3D: REVENGE OF THE MUMMY; JURASSIC PARK IN THE DARK; THE SIMPSONS. 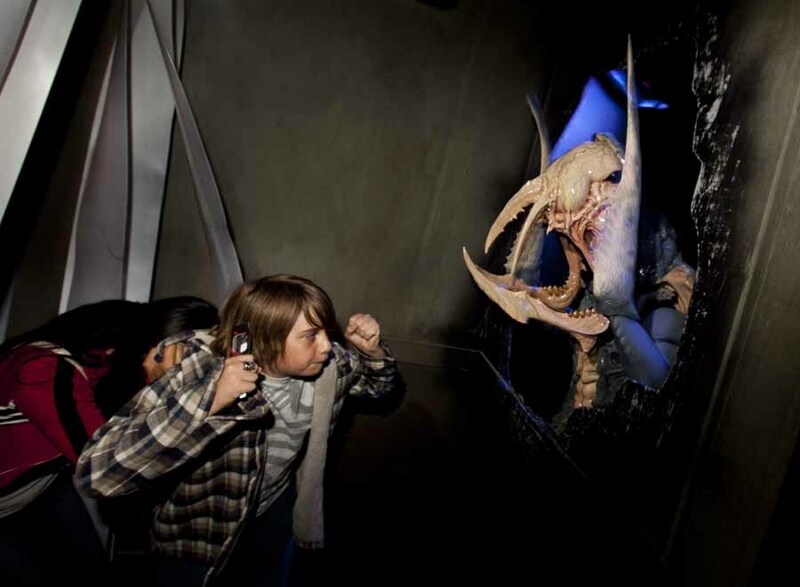 The official website advises that this event is not recommended for children under 13. 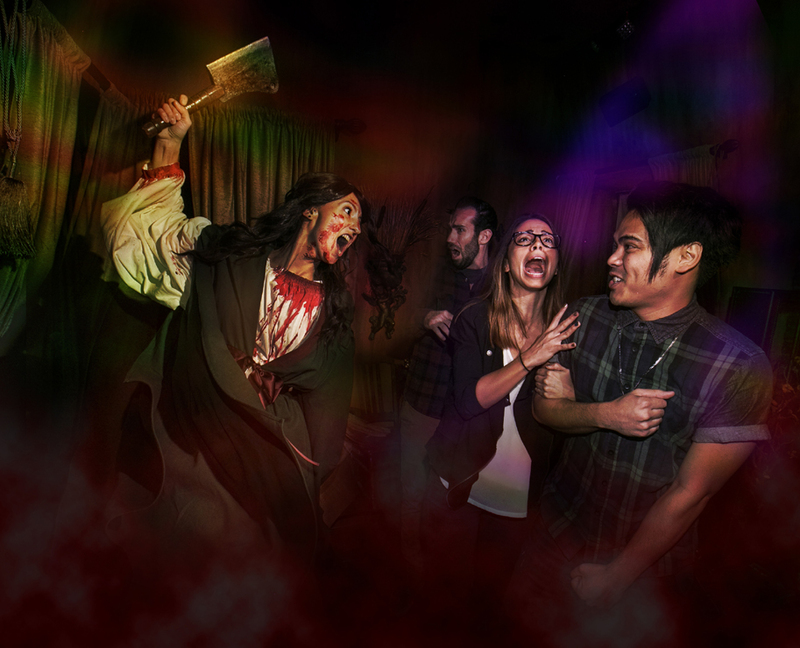 No costumes or masks are allowed. 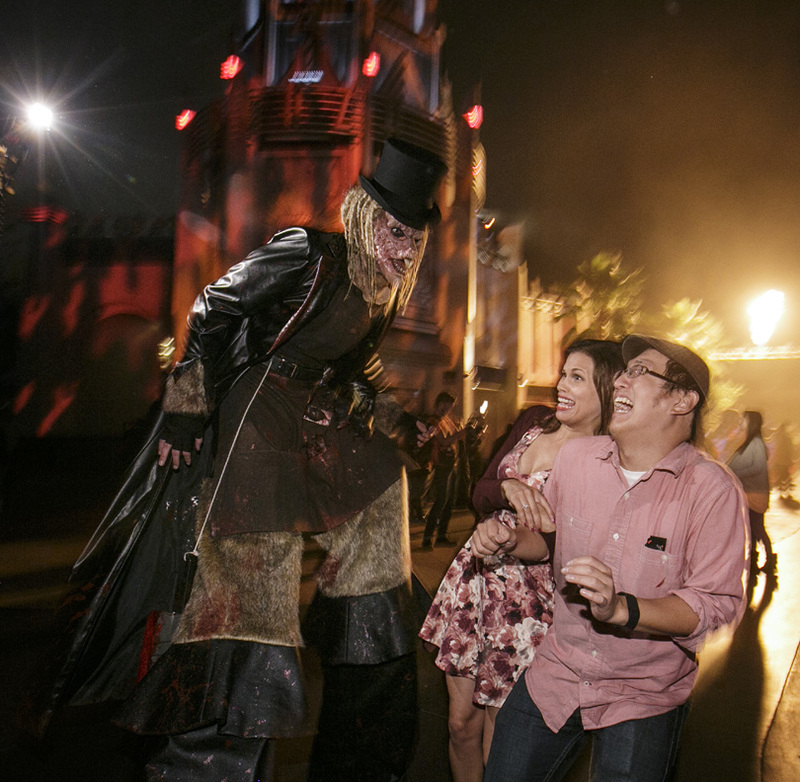 Halloween Horror Nights Universal Studios Hollywood is a separate event that takes place on select nights after the theme park closes for regular business. 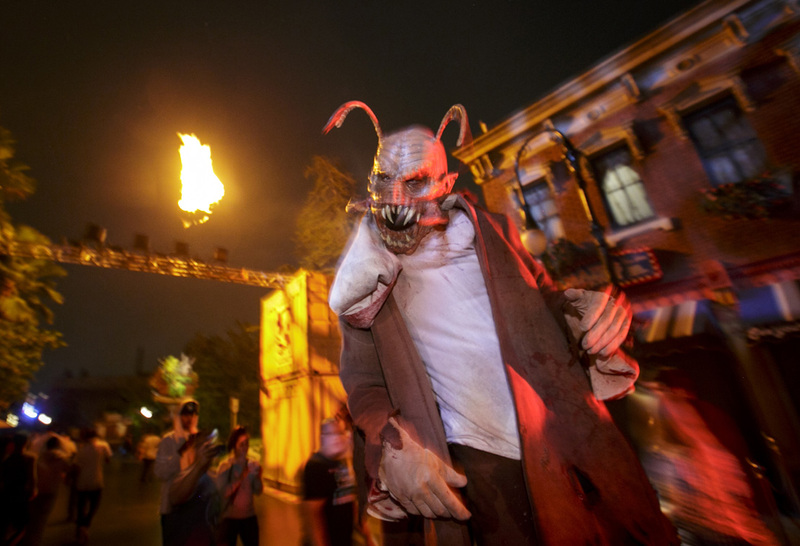 Strangely, despite a long history with the horror genre, dating back to classic black-and-white films in the 1930s such as Dracula and Frankenstein, Universal Studios Hollywood has not always exploited the Halloween season to full effect. 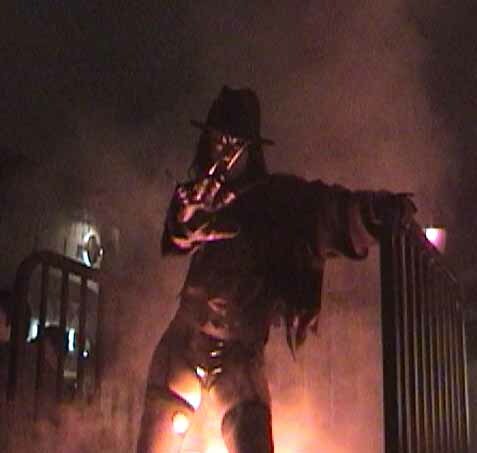 There was a disappointing debut in the 1980s (basically the standard Universal Studios tour at night, with a little bit of Halloween theming for the shows). 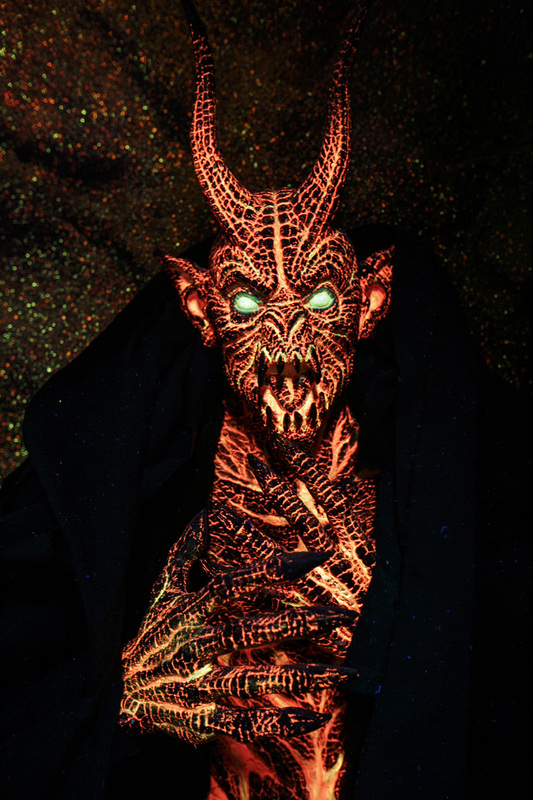 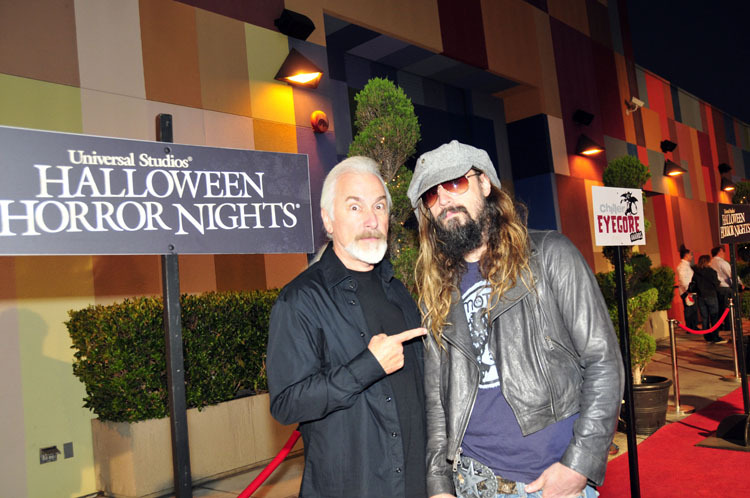 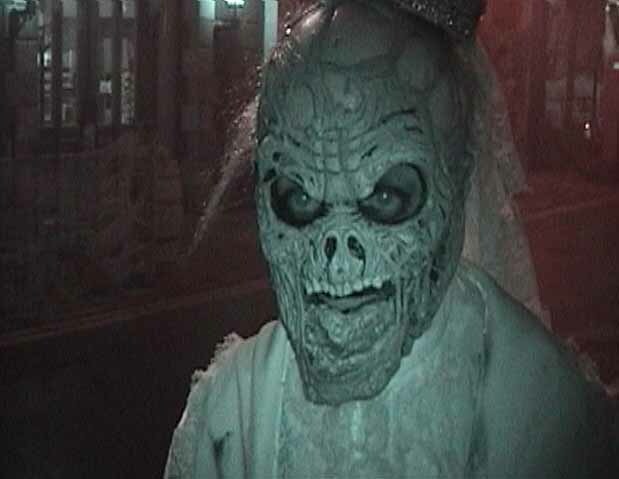 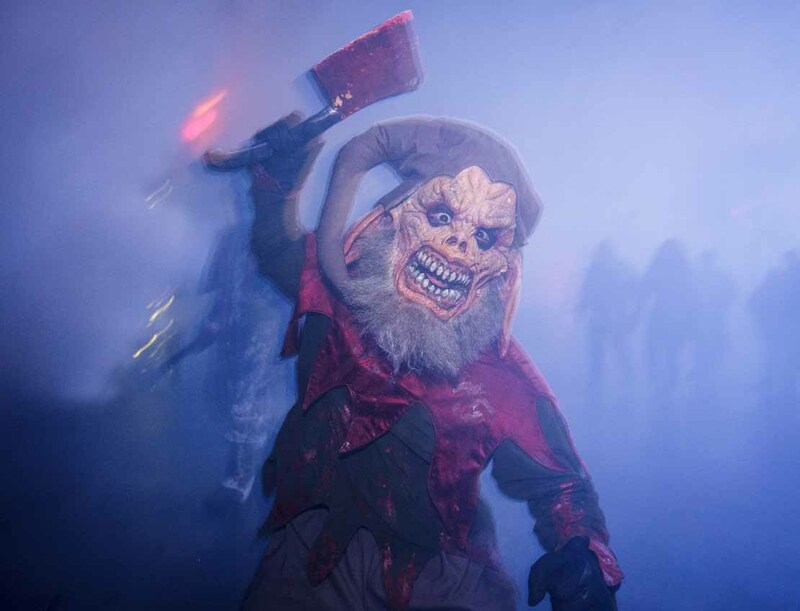 After years of inactivity, Universal Studios resurrected their Halloween presentation to good effect in the 1990s, including numerous elaborate mazes, featuring brand names like Rob Zombie and Clive Barker. 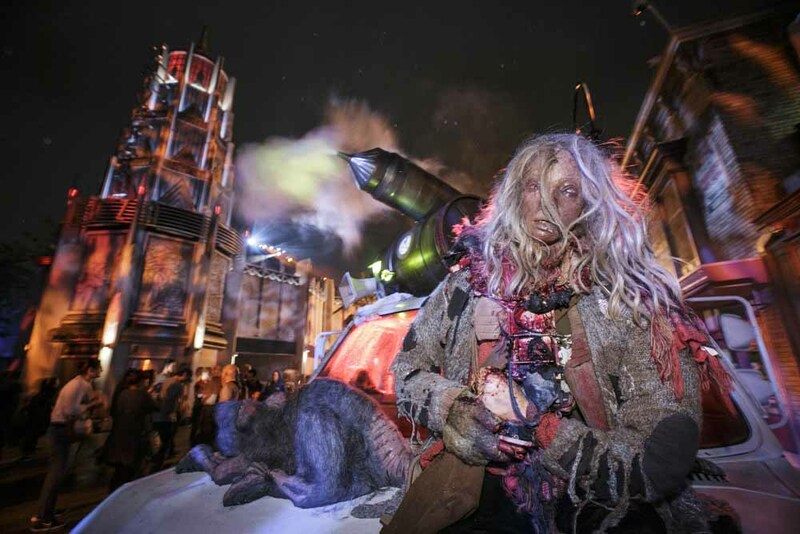 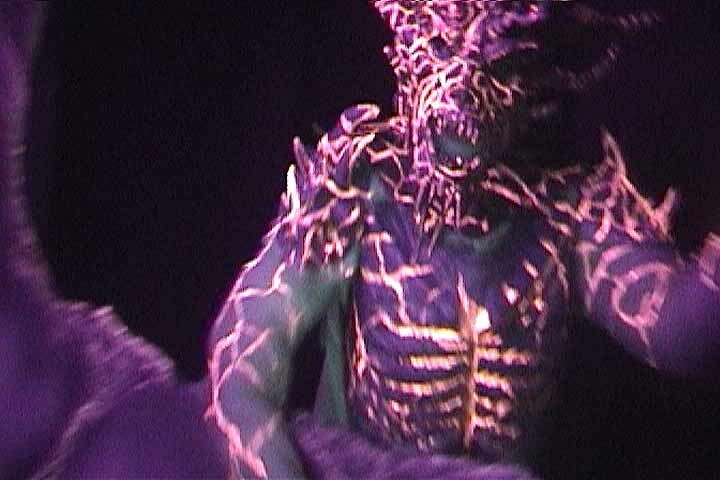 After the turn of the millennium, Universal's Hollywood location neglected to present a Halloween attraction for a number of years (although Universal's resort in Orlando Florida did continue with their haunt). 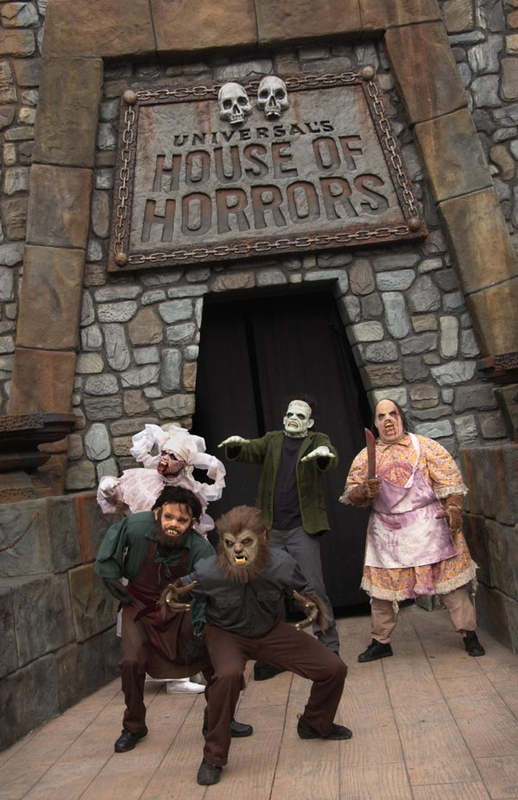 2006 saw Universal Studios Hollywood back in business for Halloween, with a couple mazes (The Asylum and House of Horrors, set in Van Helsing: Fortress Dracula) and an impressive zombie apocalypse on the back lot. 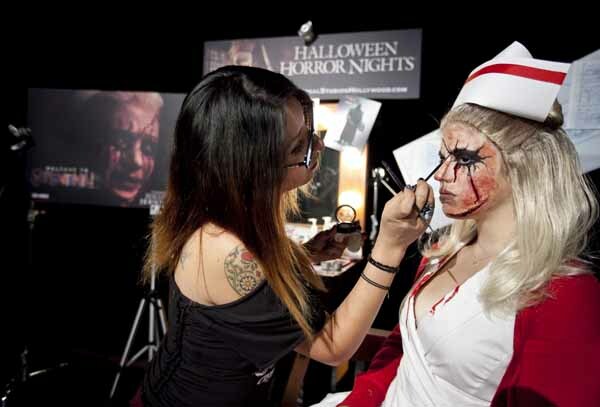 Since then, the event - now christened "Halloween Horror Nights" - has expanded the number of mazes and adopted the gimmick of basing its attractions on hot movie and television franchises. 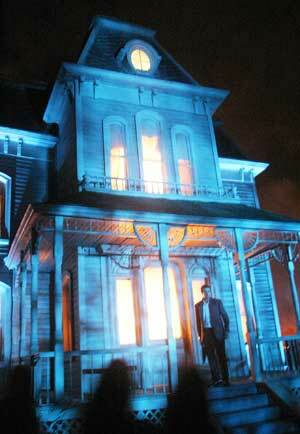 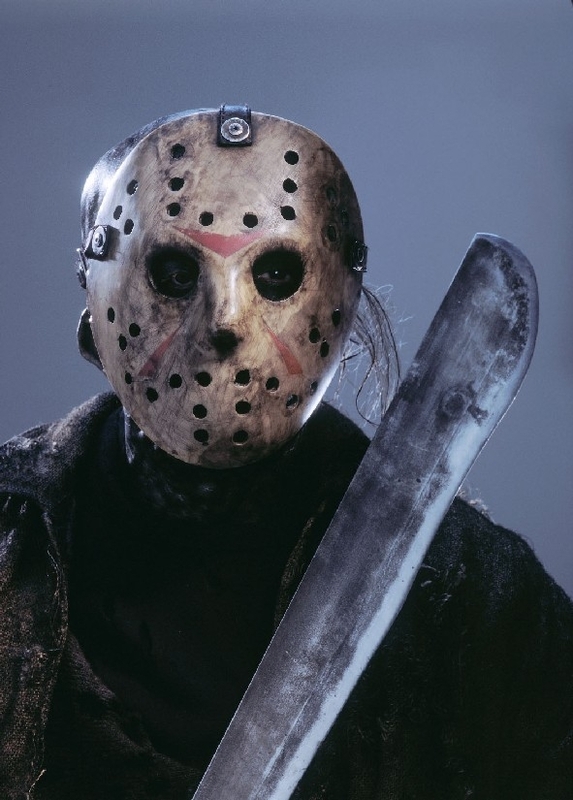 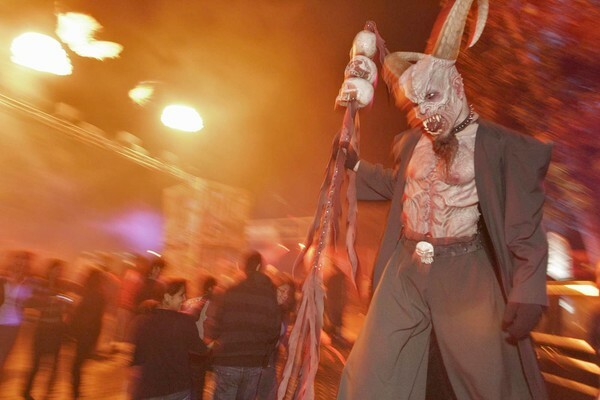 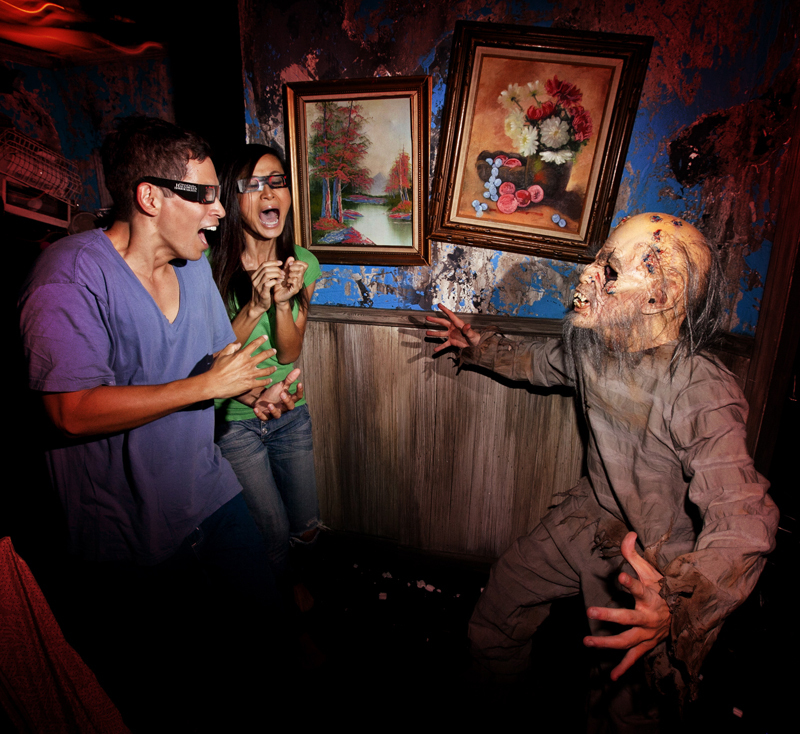 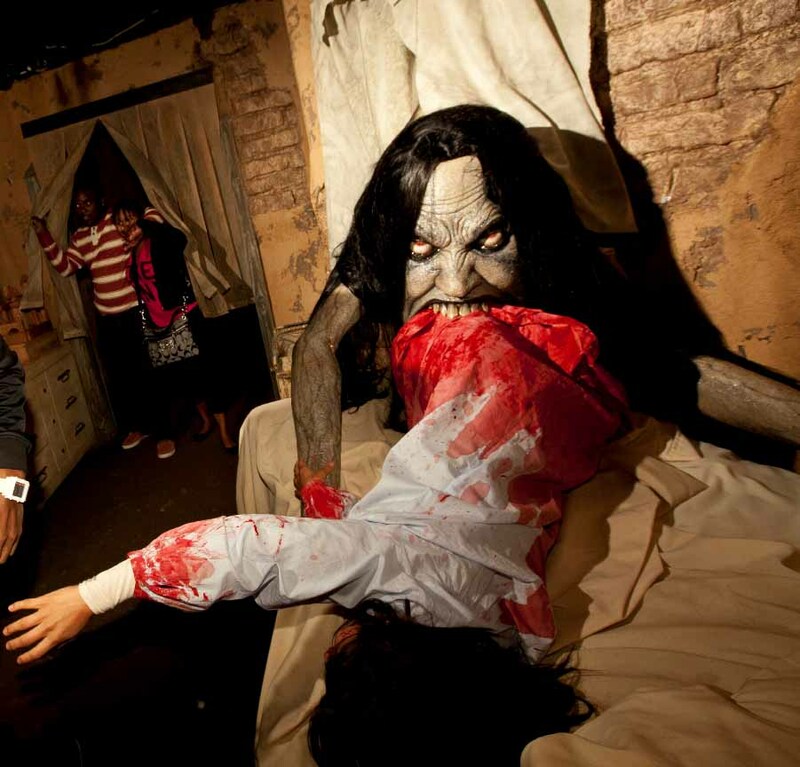 2007 and 2008 featured mazes based on A Nightmare on Elm Street, The Texas Chainsaw Massacre, and Friday the 13th, plus the House of Horrors, which had been turned into a year-round attraction, designed as a home to classic movie monsters. 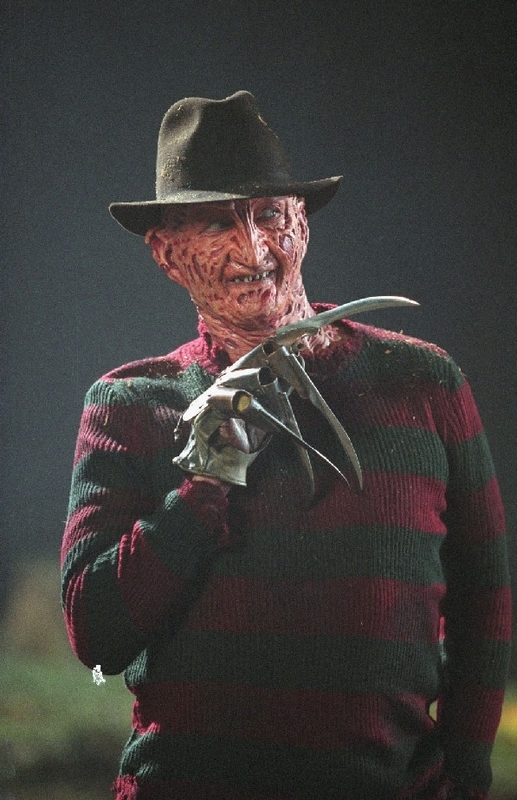 The strategy during these years was to utilize franchises with multiple sequels, from which the most famous scenes could be taken to create a smorgasbord of horror. 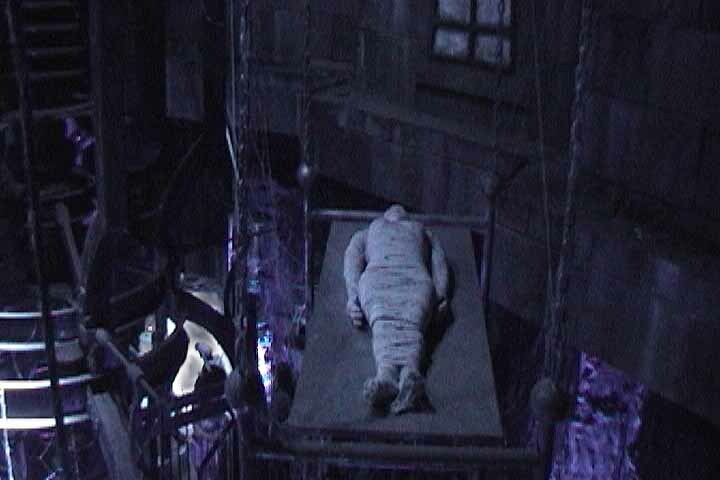 Not only did characters from the franchises appear in their own mazes; they also haunted the back lot tram tour. 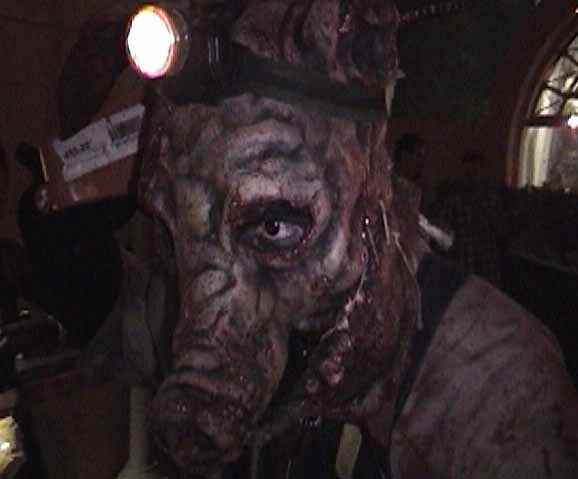 2009 saw a slight shift in strategy, with one maze (My Bloody Valentine in 3D) based on a single, recent film instead of a long-running franchise. 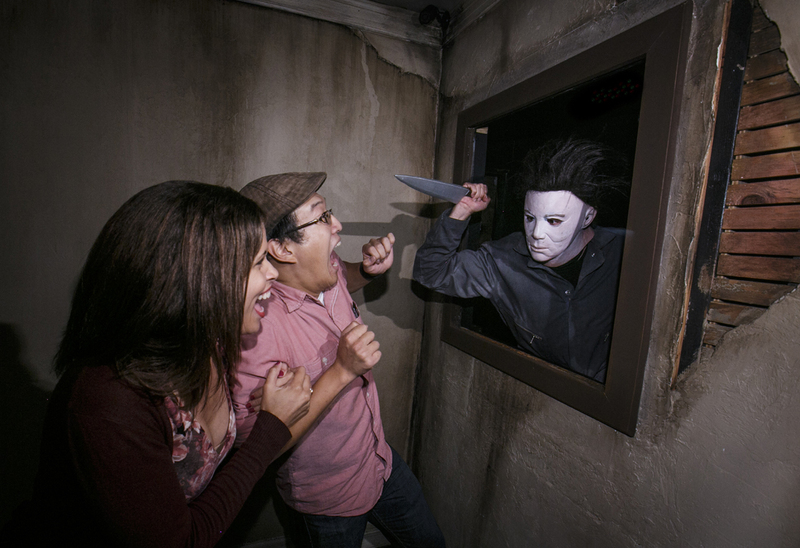 The other new mazes - Halloween: The Life and Crimes of Michael Myers and Saw: Game Over - were more in line with the previous years, picking famous scenes from several films. 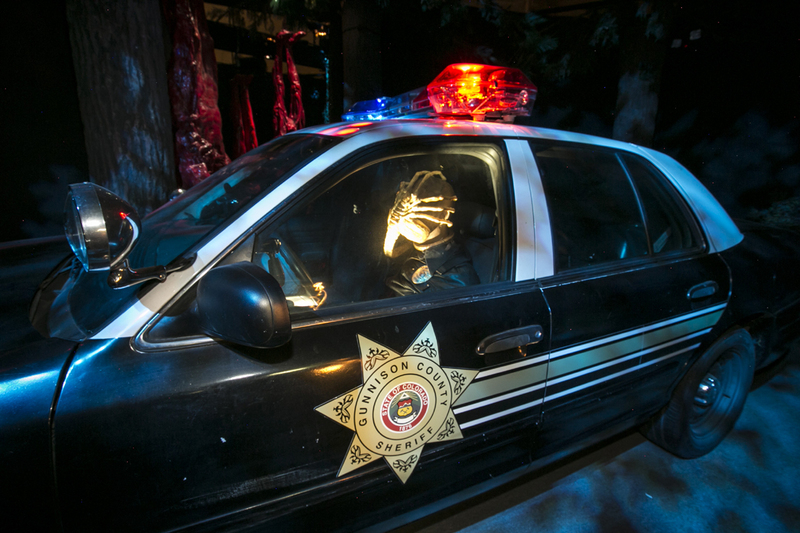 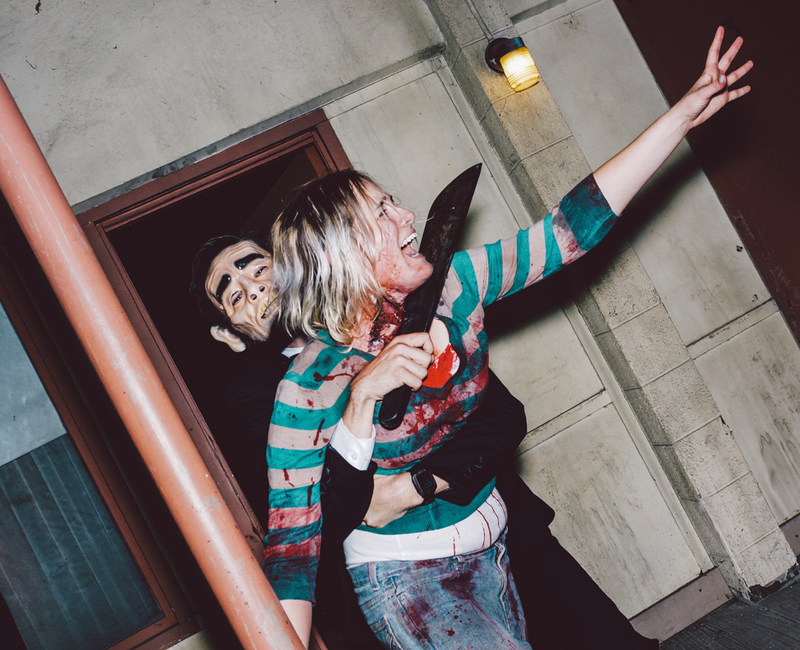 Chucky haunted the House of Horrors, and the back lot tour was branded "Live or Die." 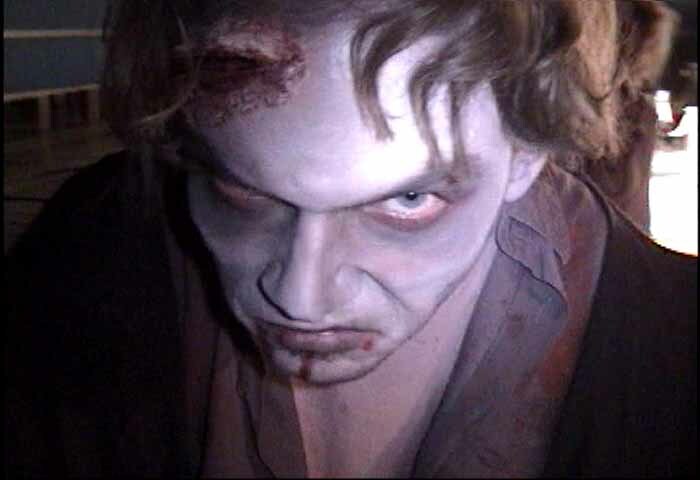 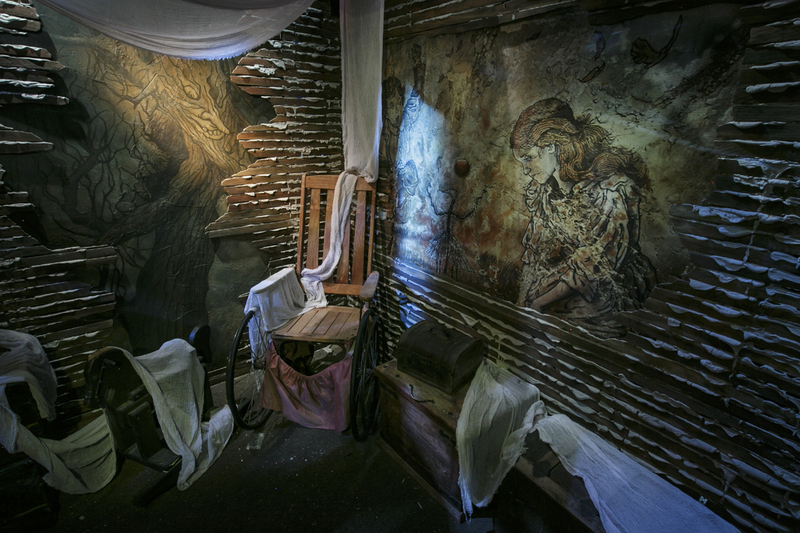 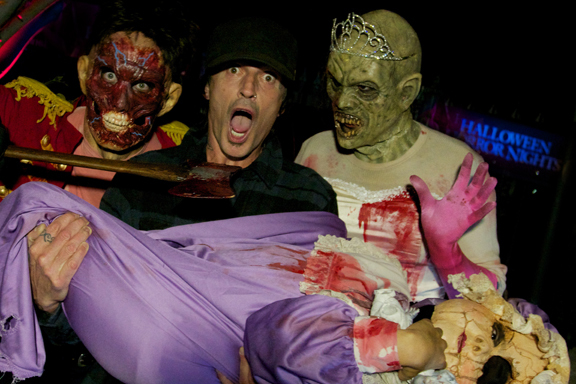 2010 featured an expansion from three mazes to five, and a move away from famous film franchises, with La Llarona haunting a scare zone and some comic book bloodsuckers inhabiting the House of Horrors, rebranded as Vampyre: Castle of the Living Dead. 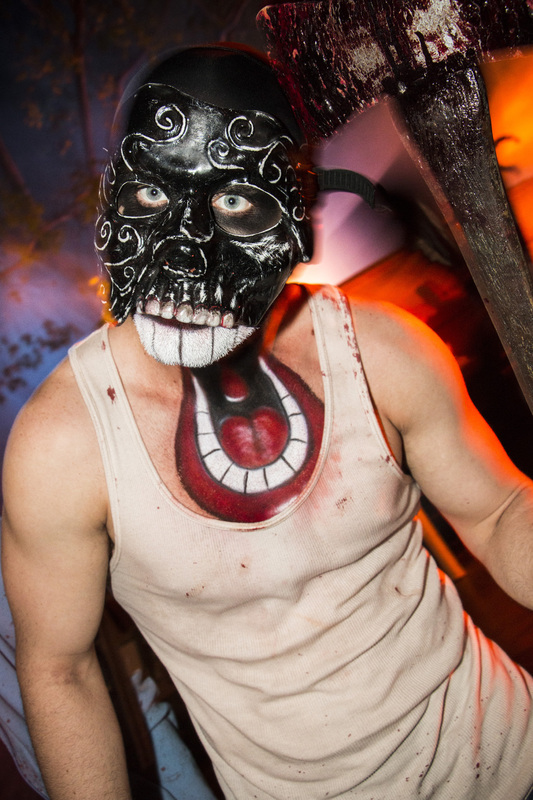 The Jigsaw Killer was back in Saw: Game Over. 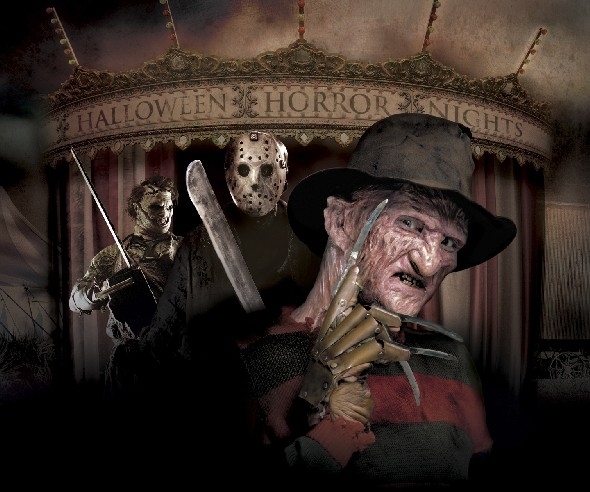 Freddy and Jason were back in new mazes, though this time based on recent remakes rather than the original films, somewhat limited the opportunities for showcasing a wide variety of scenes. 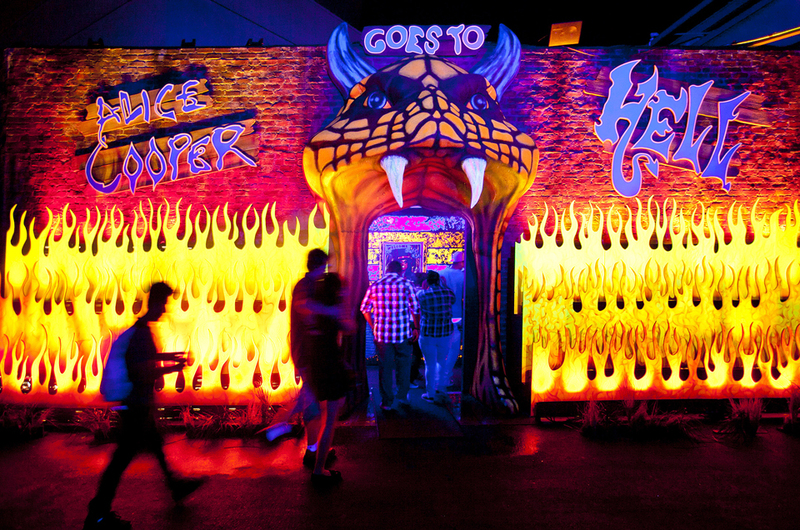 There was also a 3D maze based on Rob Zombie's House of a Thousand Corpses. 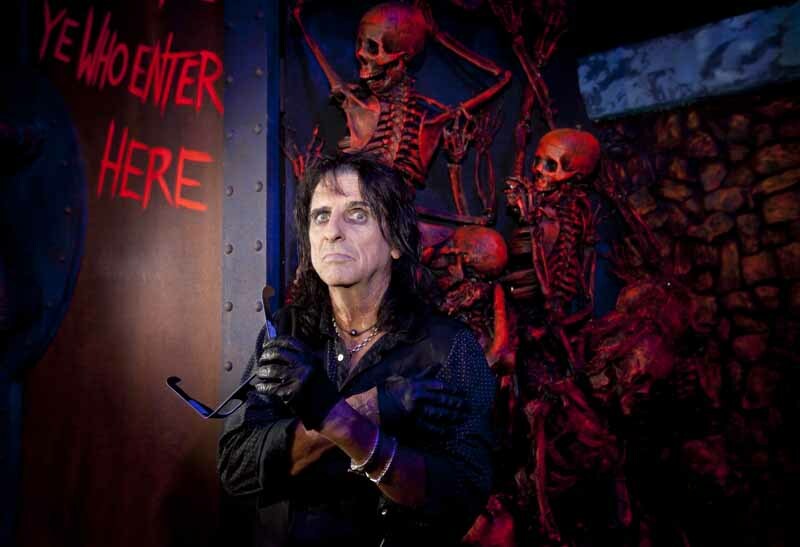 2011 further epanded the number of mazes to six and further moved away from film franchises, with walk-throughs based on Alice Cooper's 1975 concept album Welcome to My Nightmare and La Llarona. 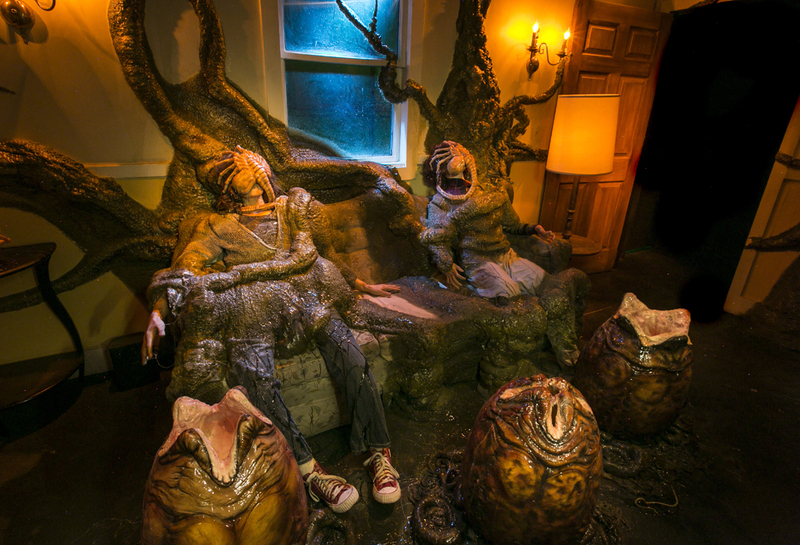 Rob Zombie's House of a Thousand Corpses was back again, and there were new mazes inspired by The Thing and Eli Roth's Hostel. 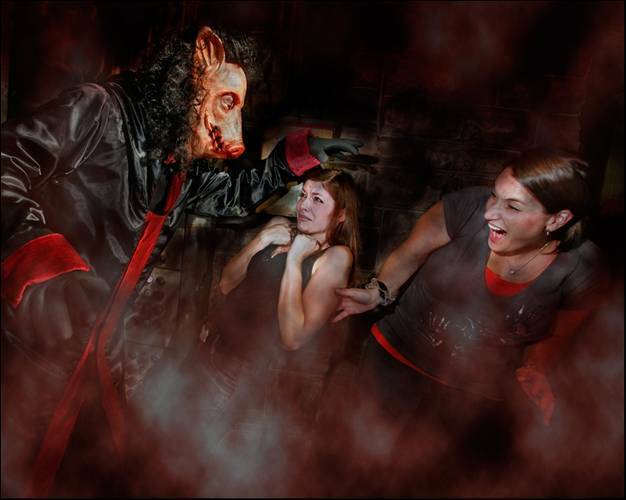 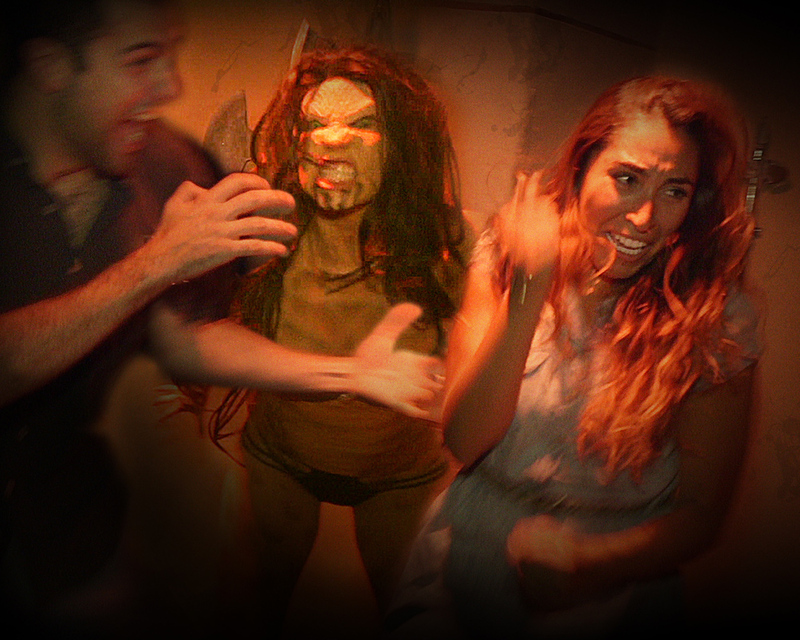 The House of Horrors was based around Universal's recent remake of The Wolf Man, and the back lot was themed after Scream 4. 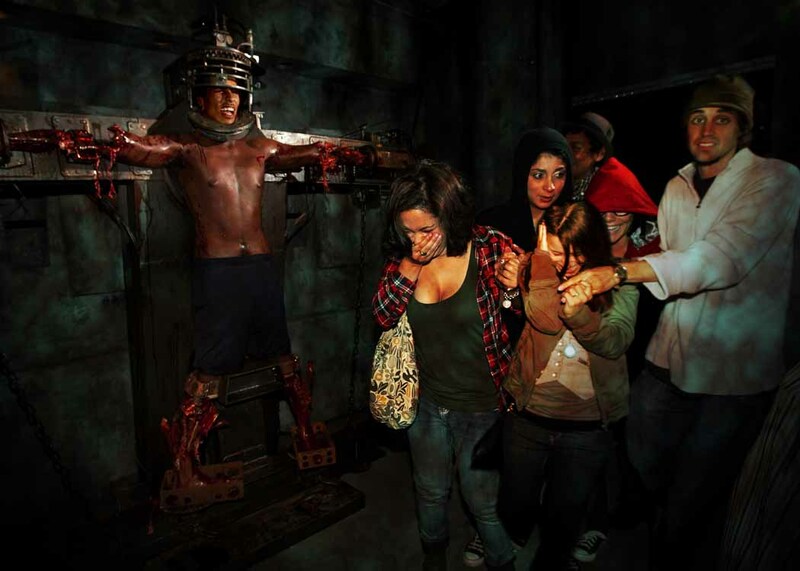 This was the first Halloween Horror Nights that did not feature a maze based on a long-running franchise. 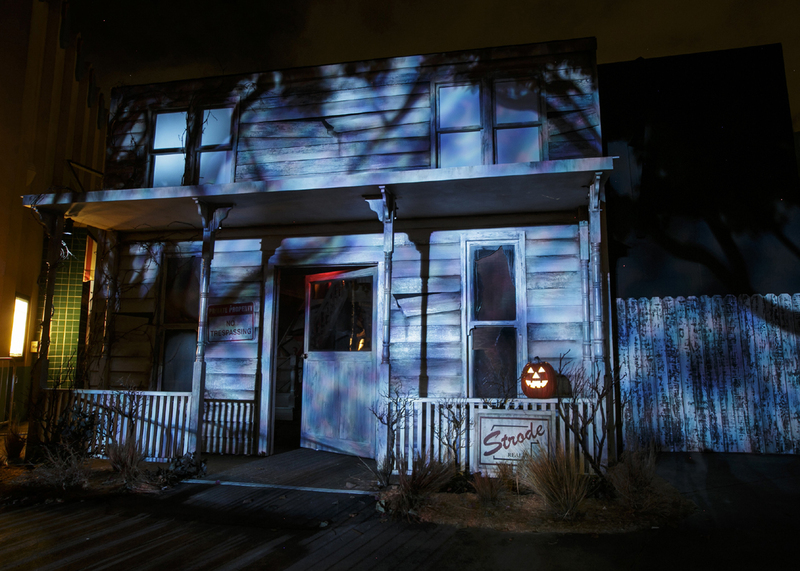 It was also the start of a trend toward using HHN to promote recent movies. 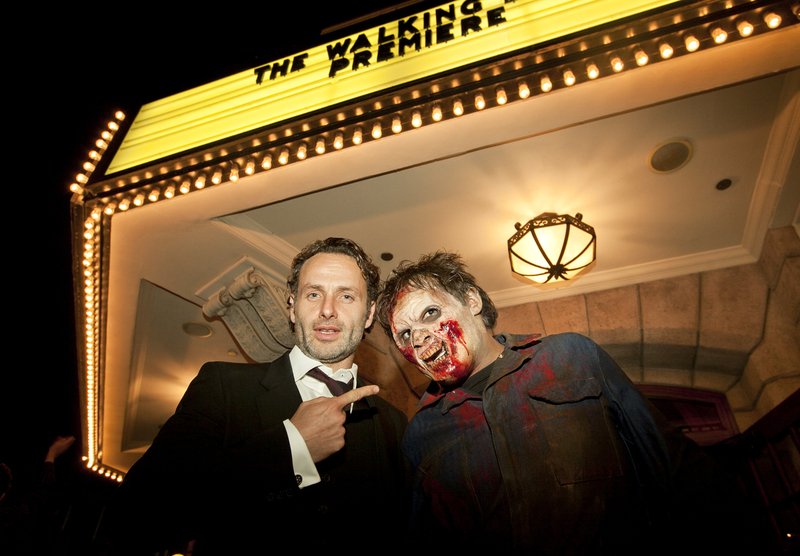 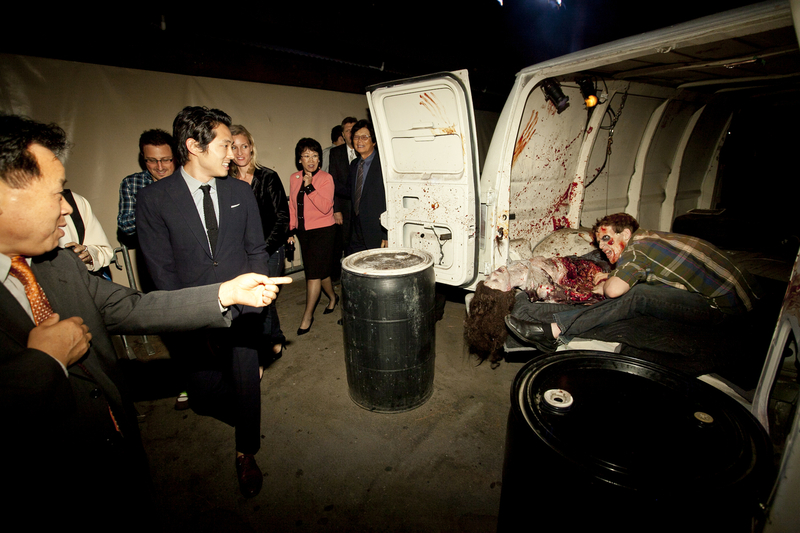 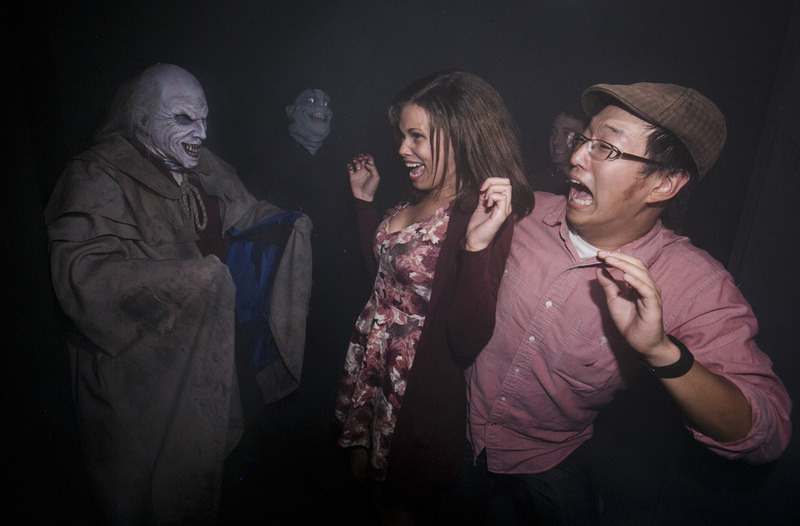 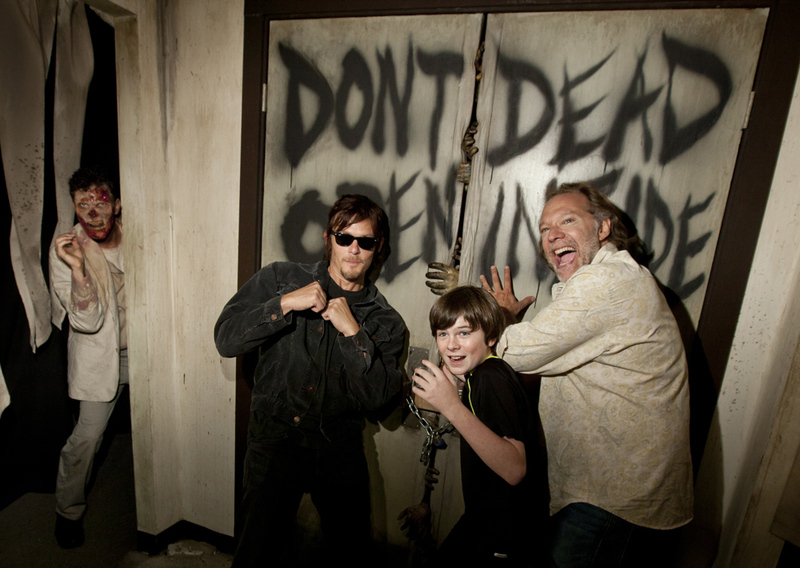 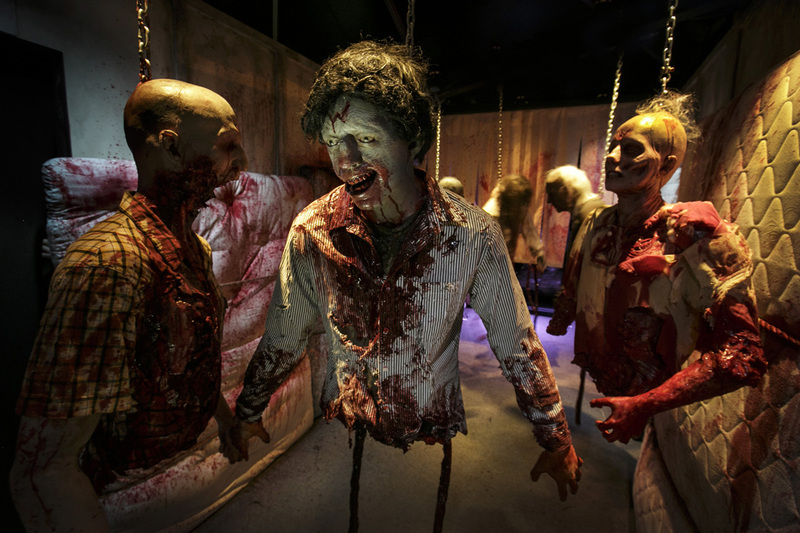 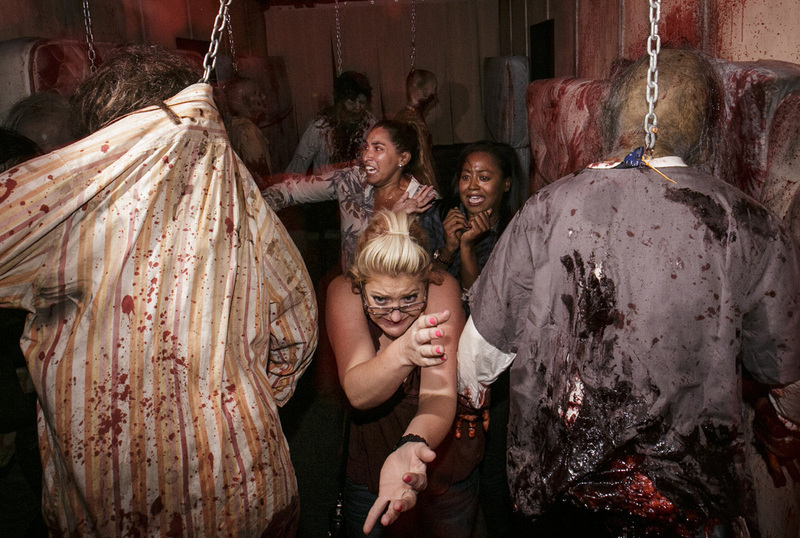 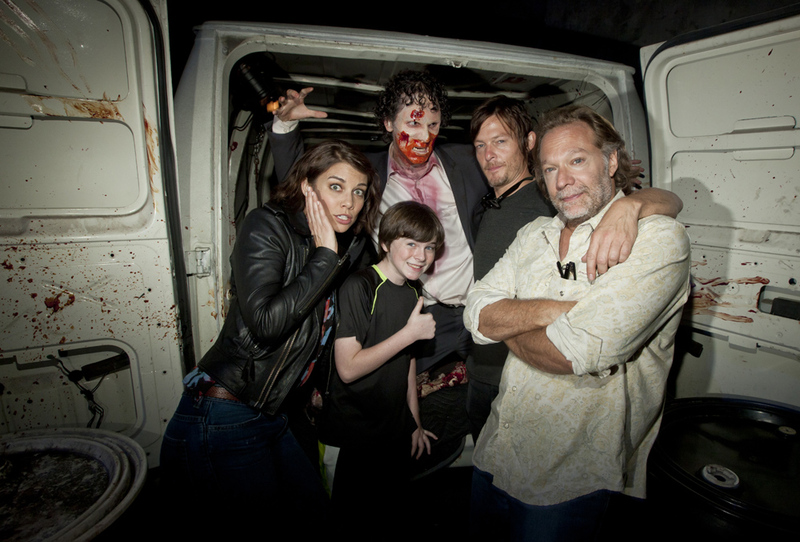 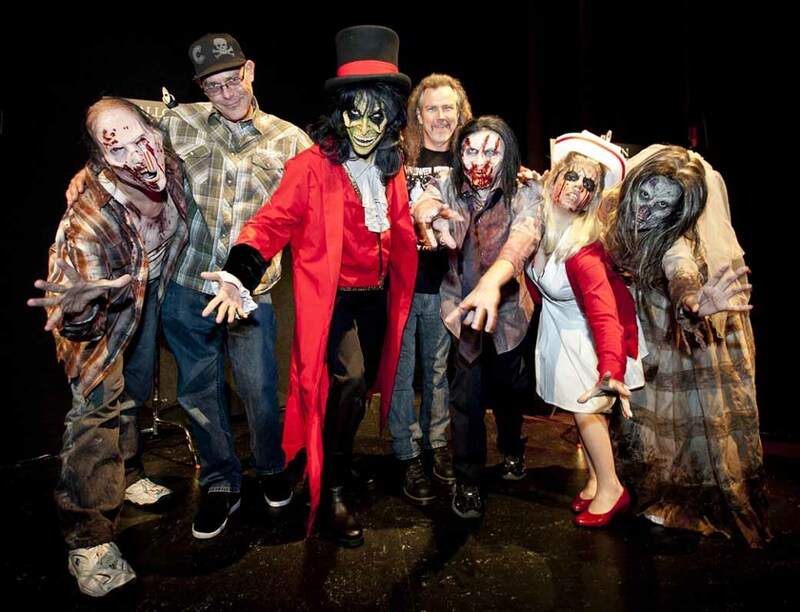 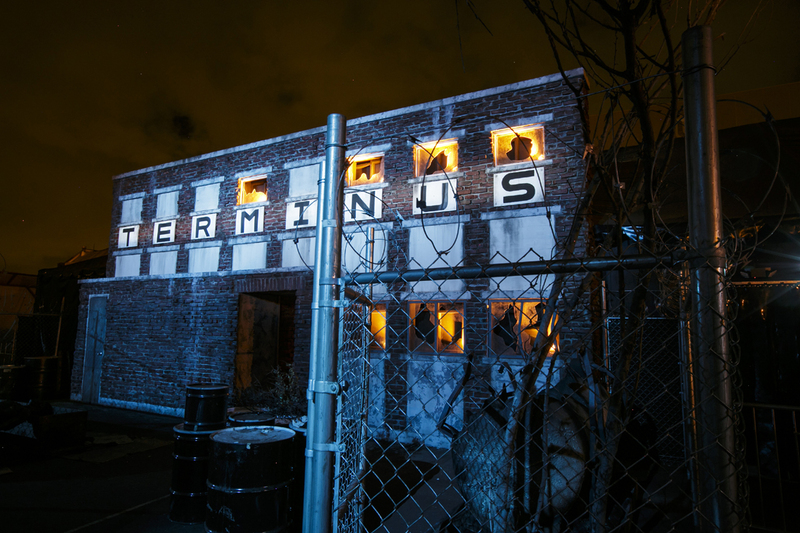 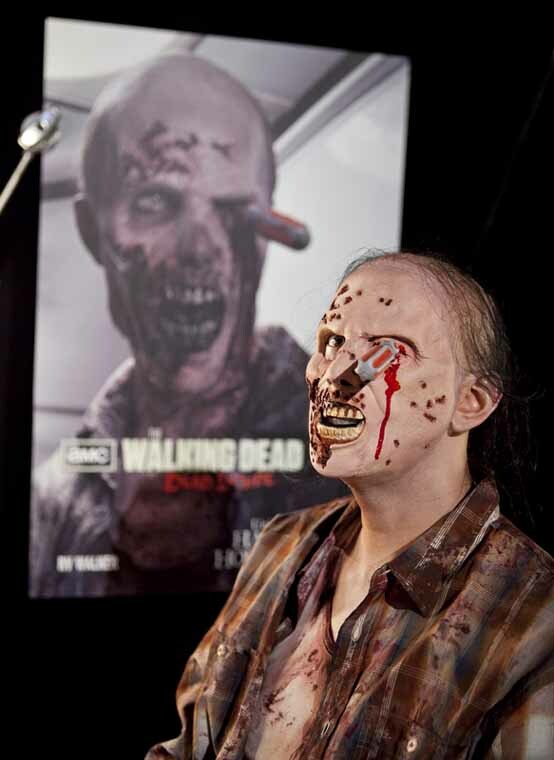 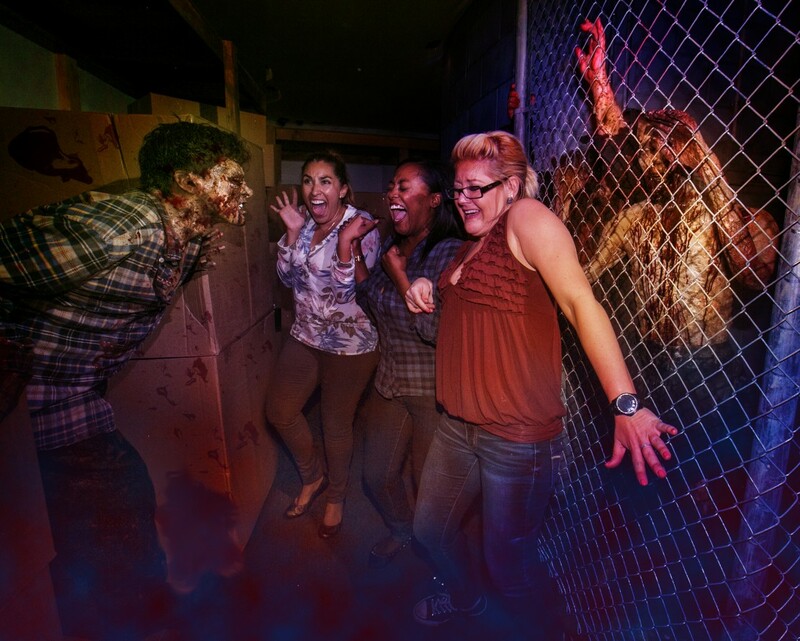 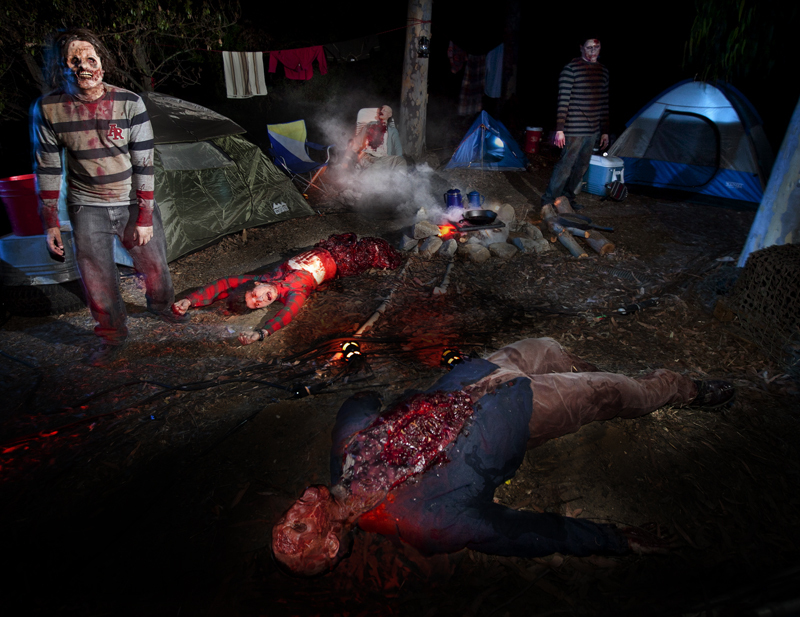 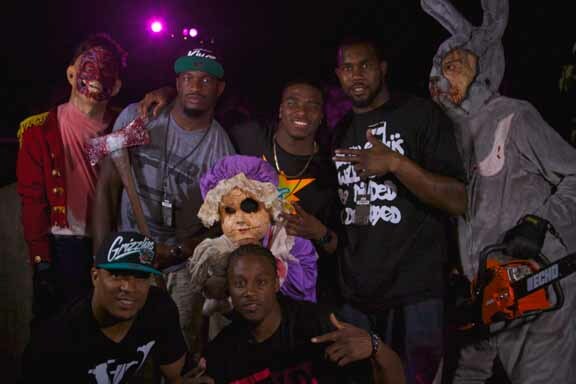 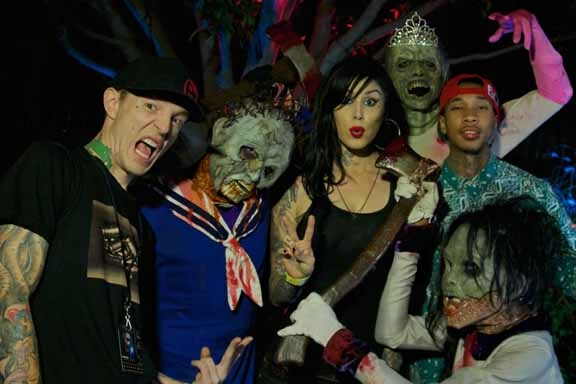 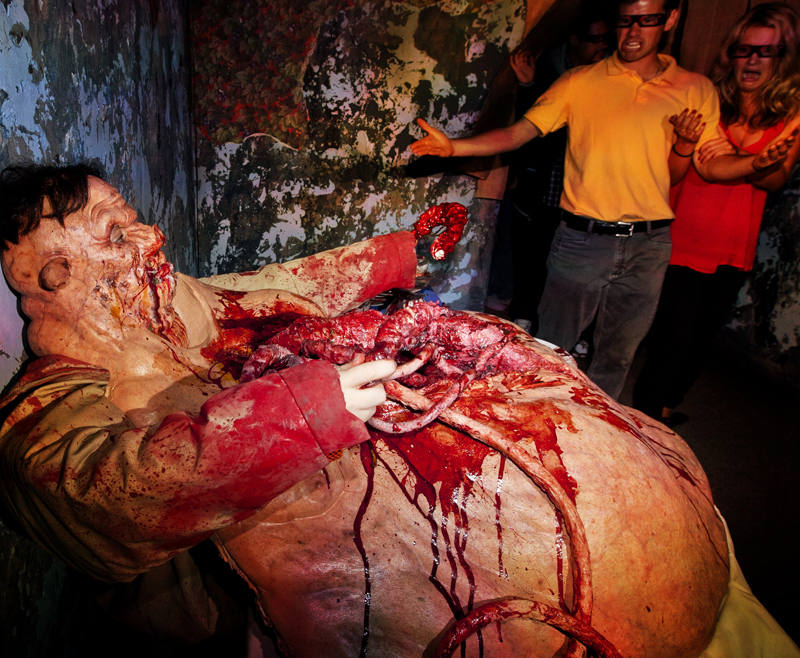 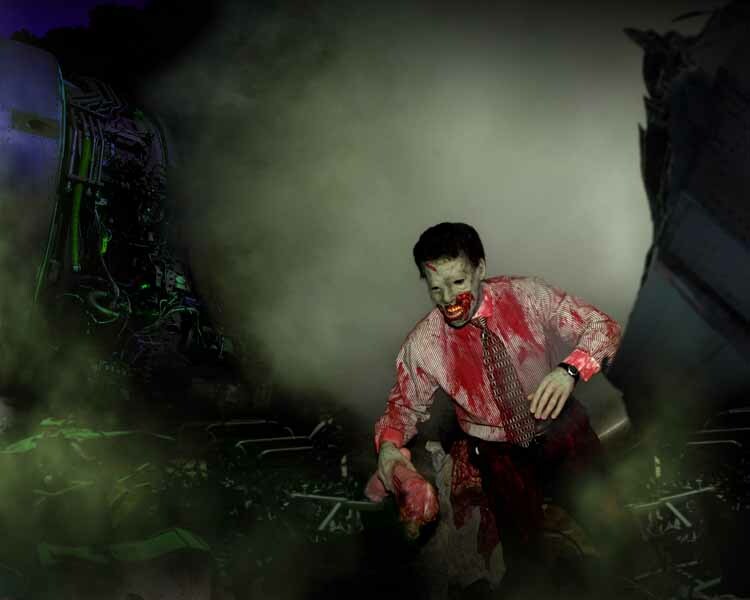 2012 marked the first appearance by The Walking Dead at Halloween Horror Nights, who go their own maze and appeared on the back lot; the zombies would become perennials for the next few years. 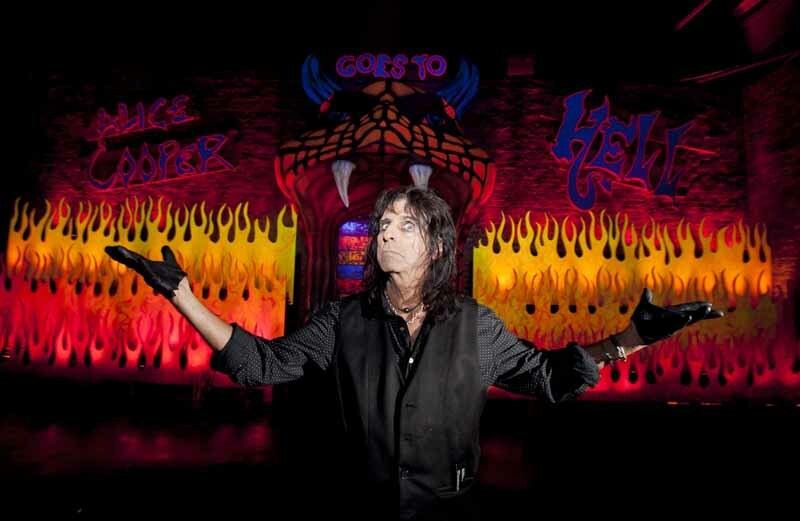 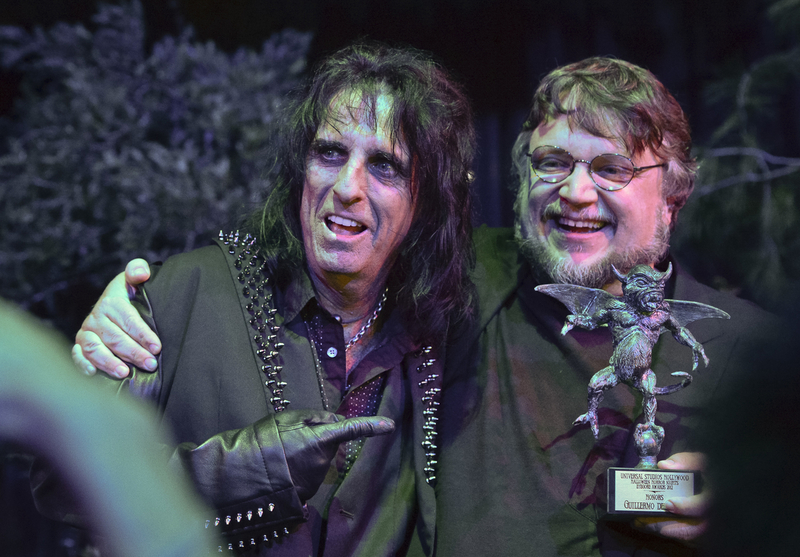 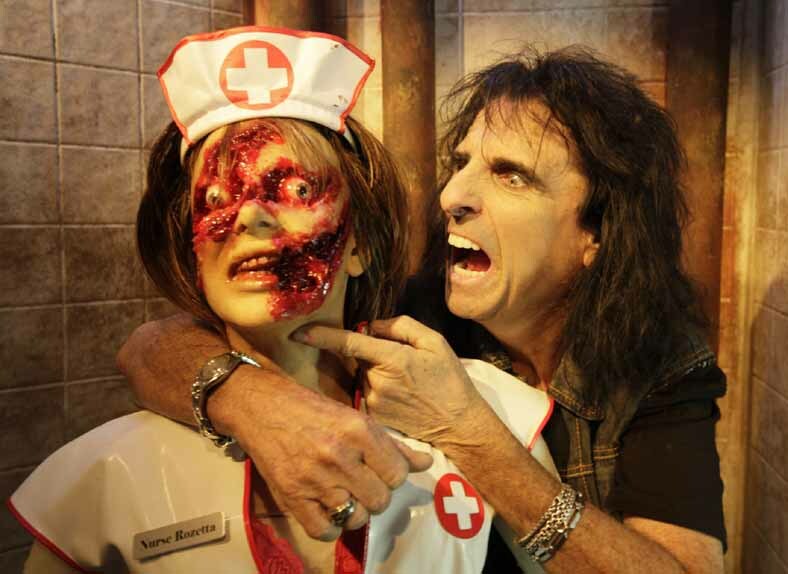 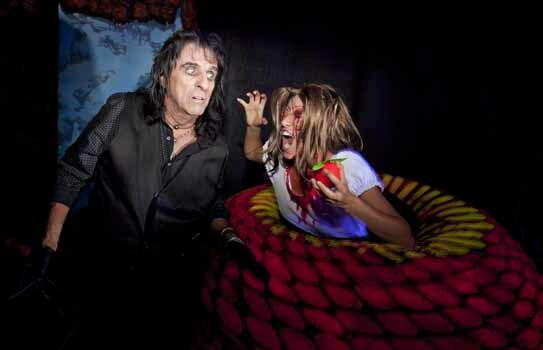 Returning to the mazes were La Llarona and Alice Cooper, those this year the later was based on Alice Cooper Goes to Hell. 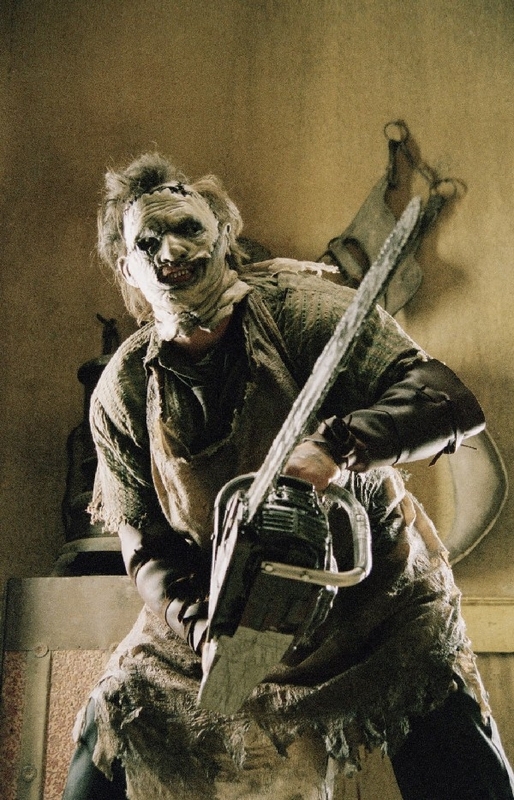 The Texas Chainsaw Massacre was back, though this time based on the 1974 original, not the remake. 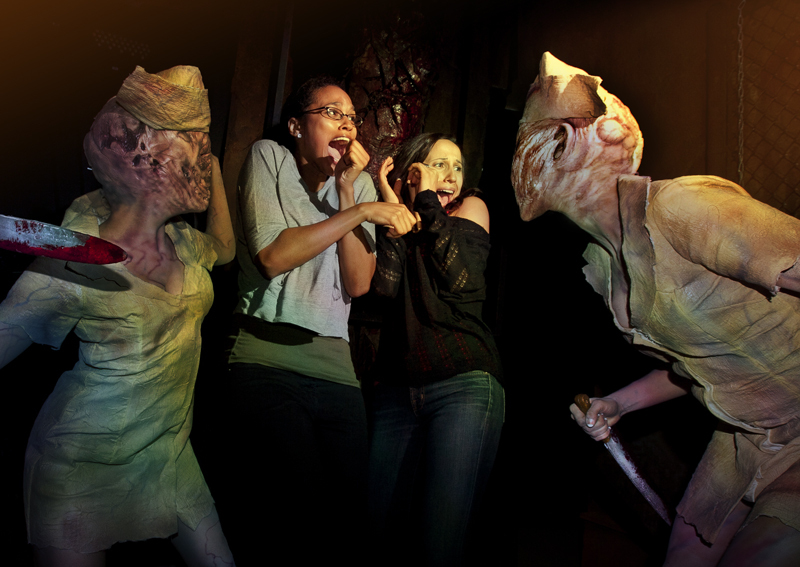 There was also a maze based on Silent Hill. 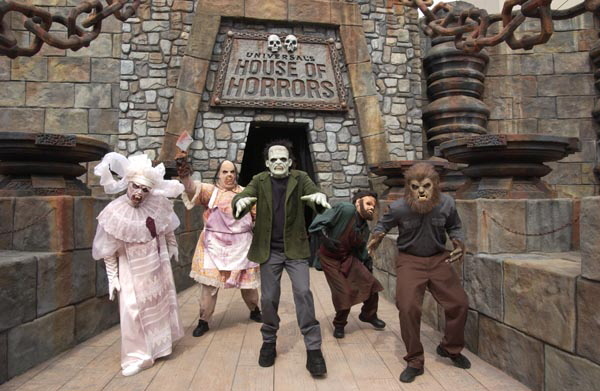 The House of Horrors was rebranded as Universal Monsters Remix, with classic movie monsters bouncing to throbbing dance music. 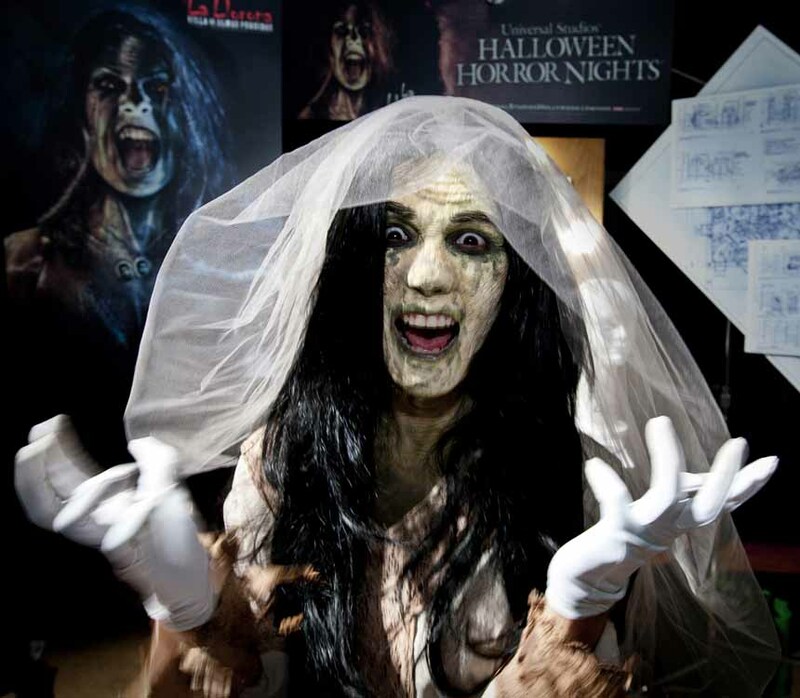 2013 saw cinematic horror taking a back seat to other media. 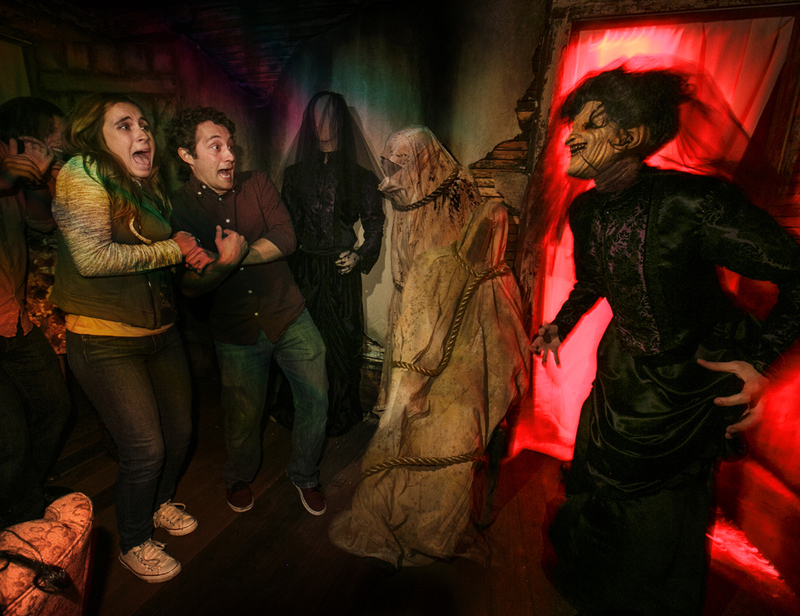 Two mazes were based on movies: Evil Dead and Insidious: Into the Further. 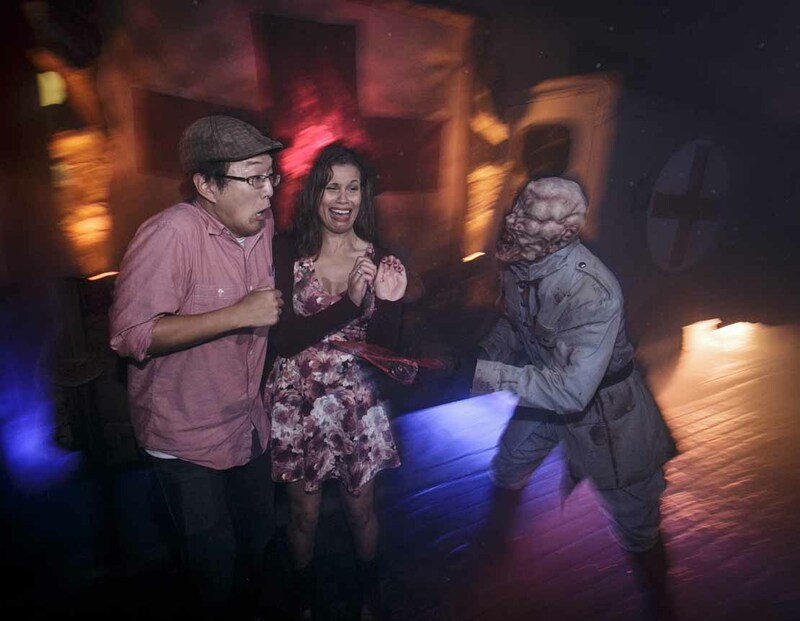 The rest were based on television or music: another Walking Dead maze, this time titled No Safe Haven; a Black Sabbath maze (with no particular theme); and El Cucuy: The Boogeyman (replacing La Llarona as the token Latino haunt). 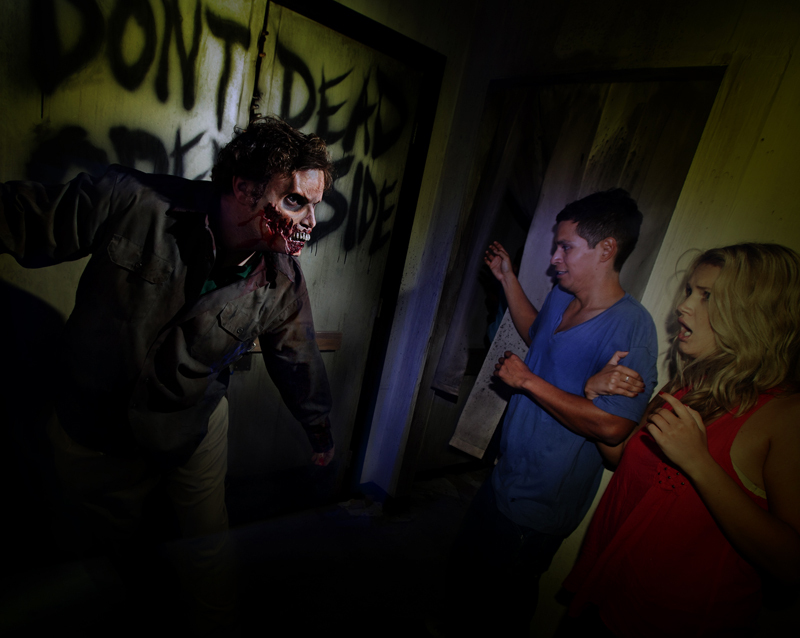 Universal Monstes Remix was back in the House of Horrors, and the back lot tram was once again plagued by the Walking Dead. 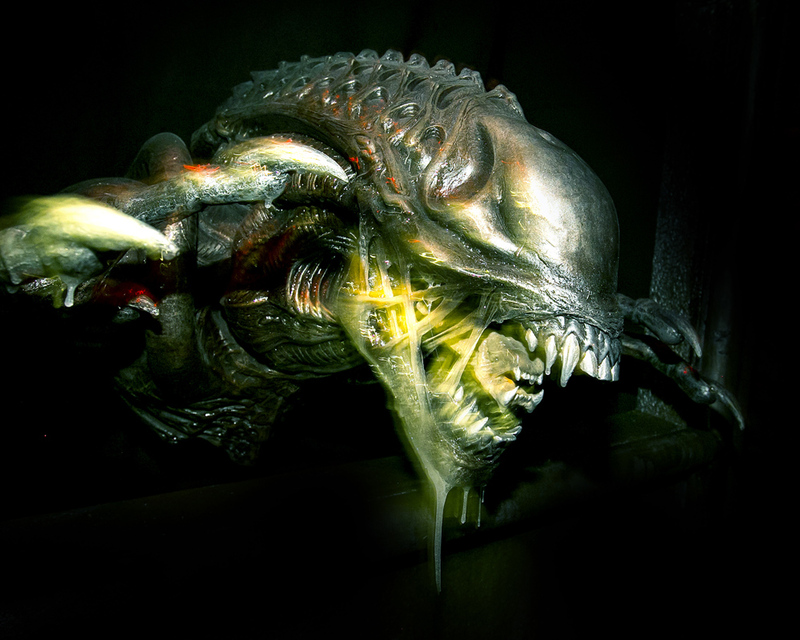 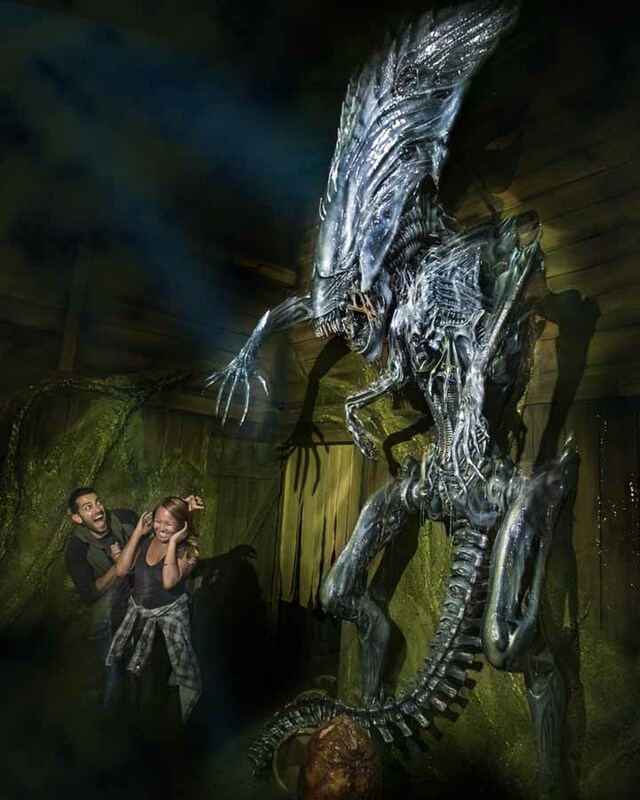 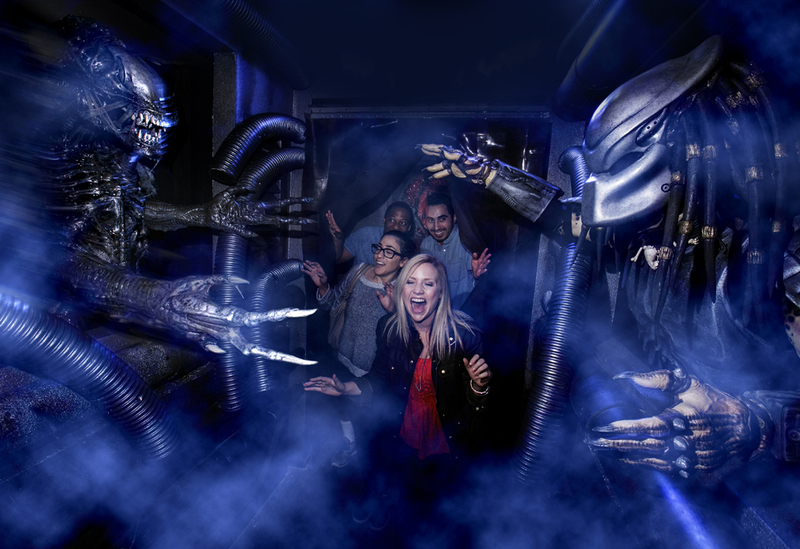 2014 offered more new mazes: AVP: Alien vs. 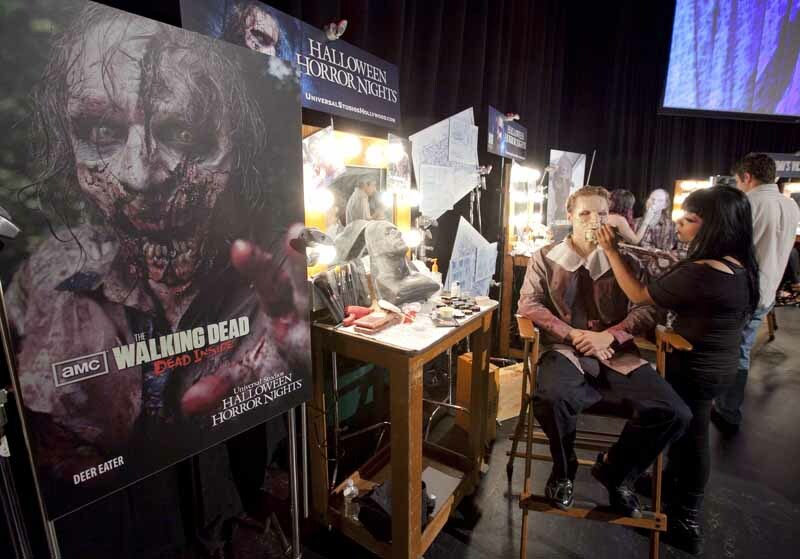 Predator; From Dusk Till Dawn; Dracula: Untold; An American Werewolf in London; and Clowns 3D. 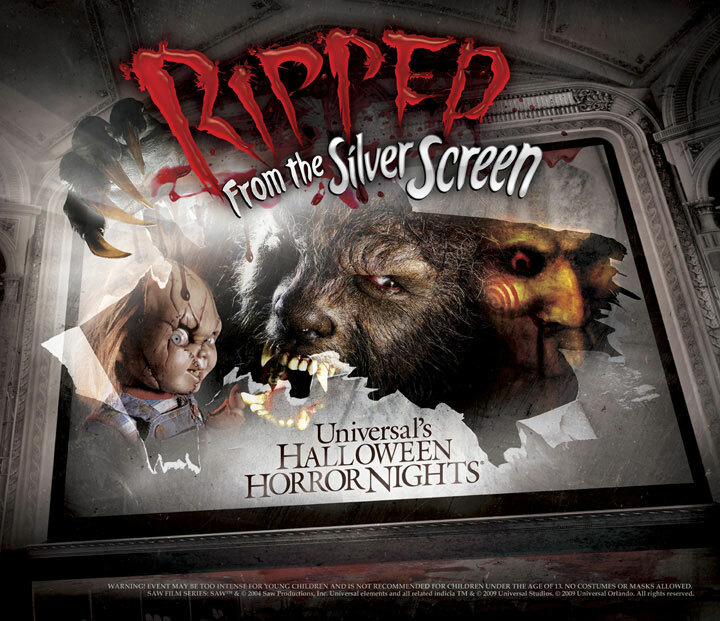 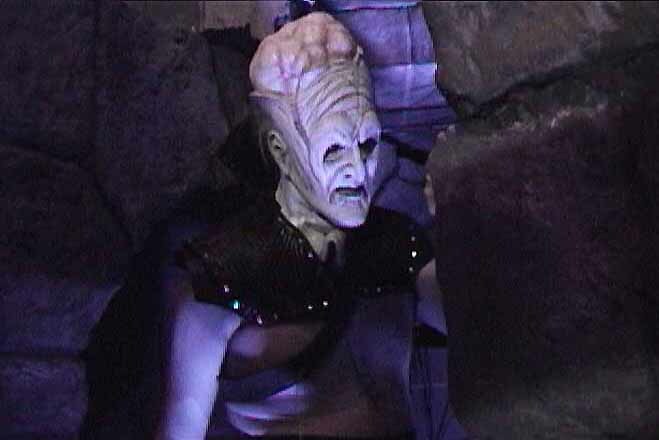 The House of Horrors was branded Face Off (based on the Sy Fy series), but the pulsing dance music of the Universal Monsters Remix years remained intact. 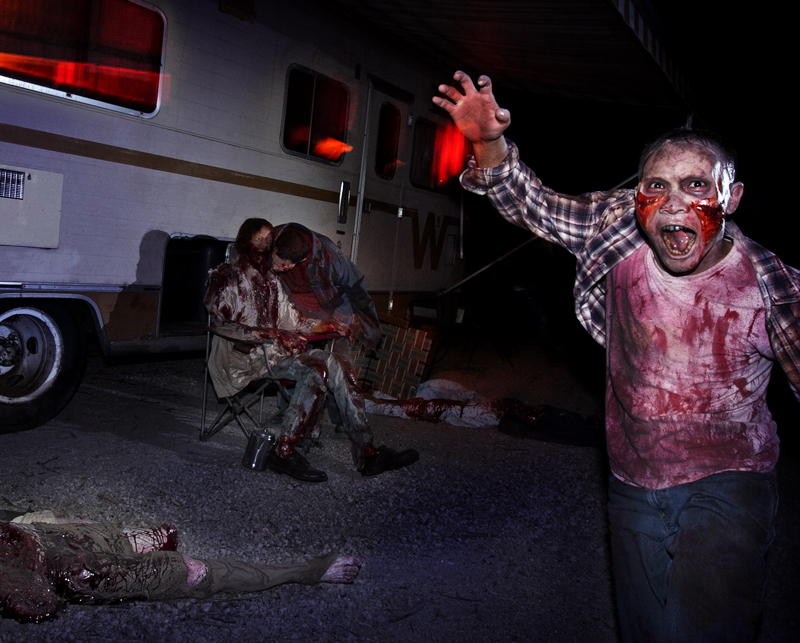 The Walking Dead seemed to be reaching a saturation point, appearing in their own maze, on the tram tour, and in their own scare zone.